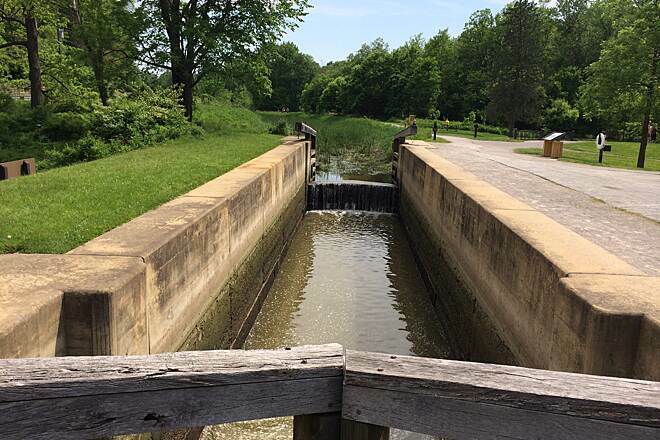 The Ohio & Erie Canal Towpath Trail is an amazing trail journey that takes users from the heart of this country’s industrial might in cities like Cleveland and Akron, to some of the most beautiful places in this part of the world, like Cuyahoga Valley National Park. 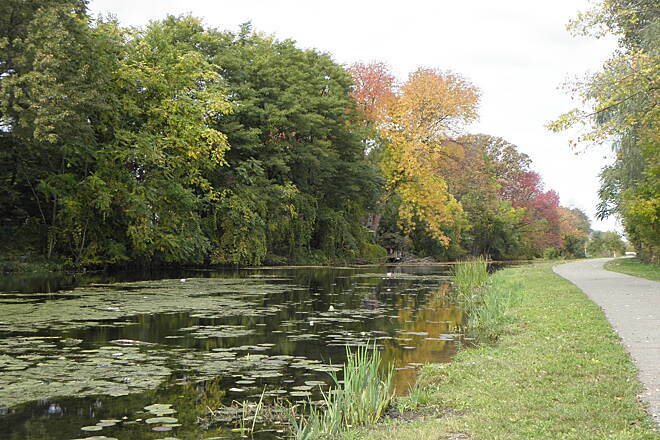 As closely as possible, the Towpath Trail follows a historical canal where mules once pulled boats from 1827 to 1913. 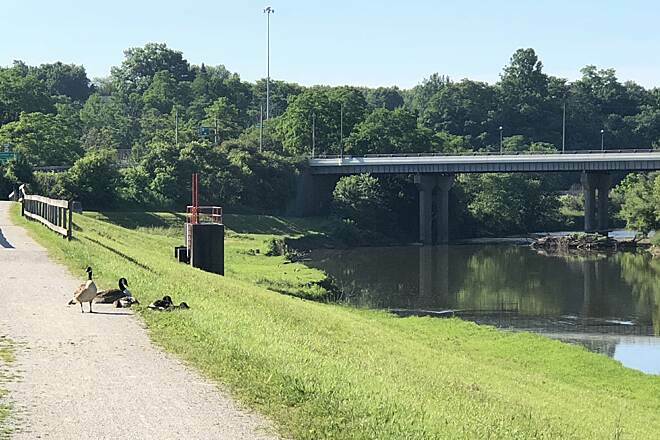 Currently, 81 miles of the trail are complete from Cleveland south to Bolivar, but it will eventually extend farther south to New Philadelphia, for a total of 110 miles. Start in the industrial valley, looking up at downtown Cleveland. Here, a couple of small sections of completed trail will soon be connected to the Harvard Road trailhead, where the majority of the connected trail starts. 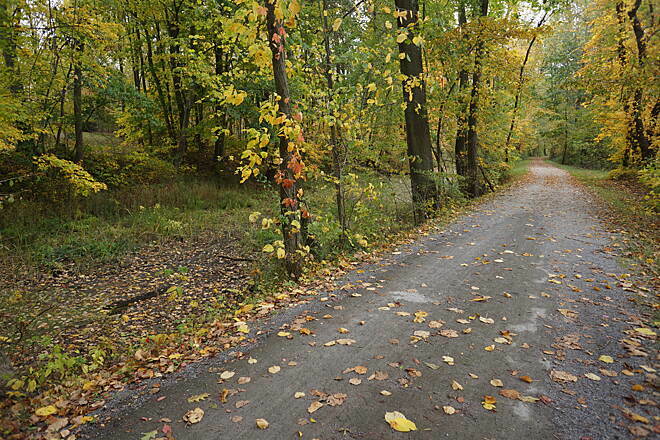 A well-maintained asphalt surface heads south out of the city. 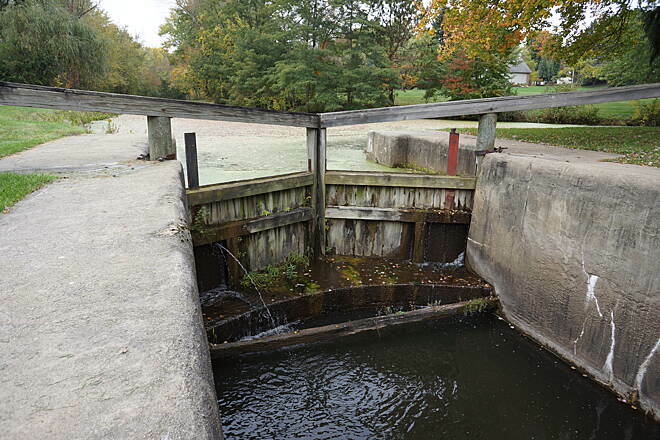 Wonderful trailside exhibits tell the story of the adjacent canal’s past and present. 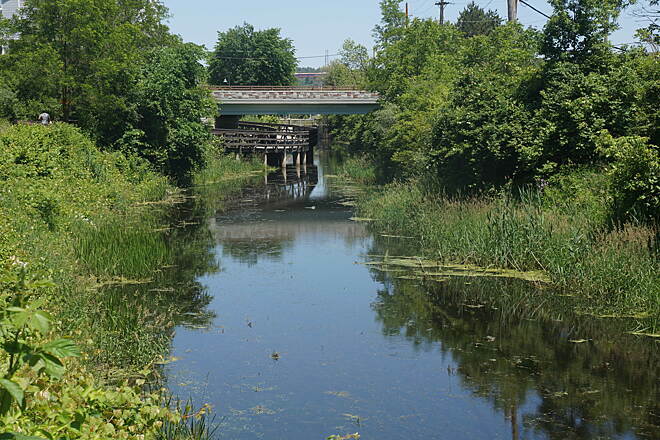 Remnants of the old canal itself are an almost constant companion, and wildlife sightings are frequent even in the urban environment. 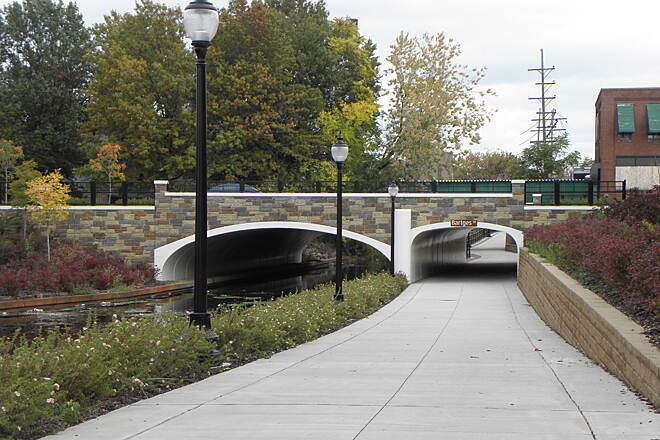 Two world-class trail bridges take users over busy intersections as you meander south to Rockside Road. 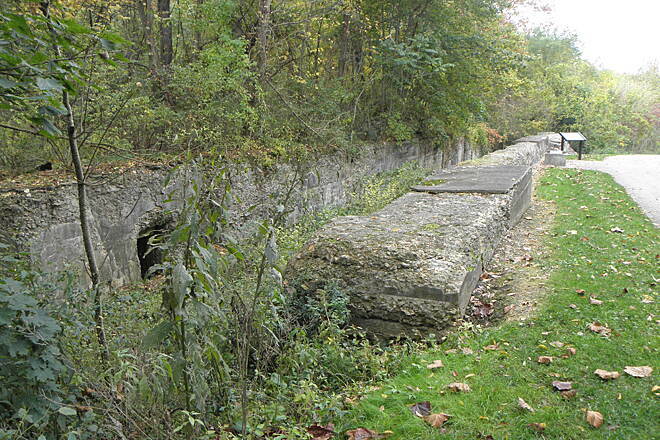 At this point, the path transitions into a crushed limestone surface as it enters Cuyahoga Valley National Park. 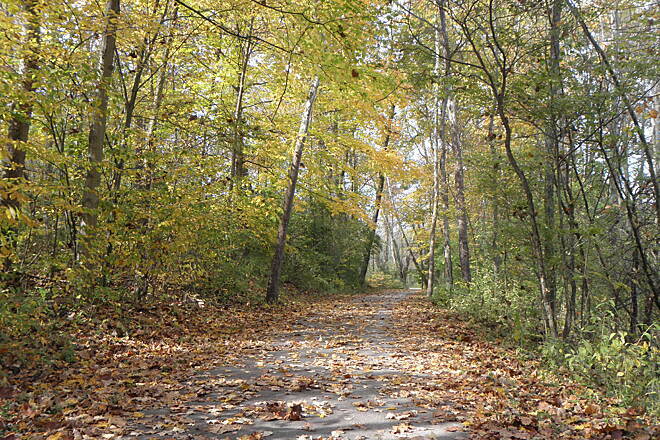 The trail—and the park—don’t disappoint. The stone surface is firm, even under road tires, and the beautiful scenery of one of the most-visited national parks in the country is hard to just roll by. Constant stops are a must and there are ample opportunities. 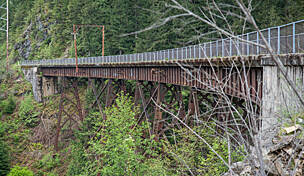 Quaint historical towns, historical sites, and pure beauty make this section of trail exquisite. 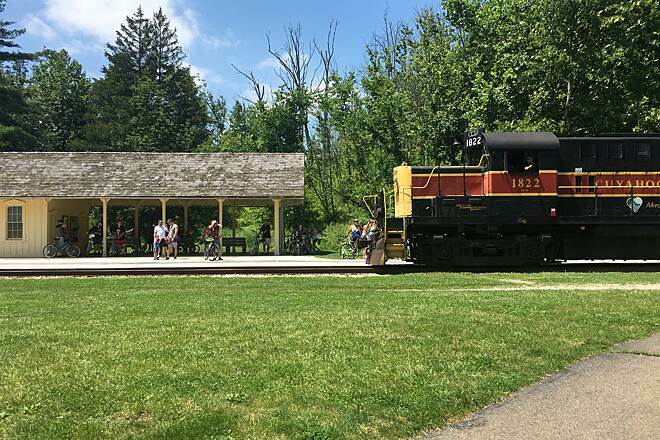 A bustling stop along the route is the community of Peninsula, once a hub of canal activity and now a station on the popular Cuyahoga Valley Scenic Railroad, which features tourist excursions within the park. 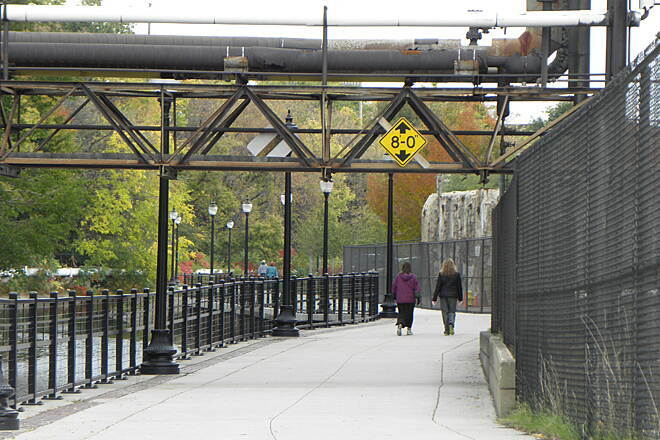 Many visitors like to bike the Towpath Trail one way and take the train back (only available April–October). In the charming village, travelers will find restaurants, art and antiques shops, an old-fashioned candy shop, and historical homes. Farther south, you will enter the city of Akron. The trail becomes paved again here and some on-road riding is needed, but the route is not too hard to follow. 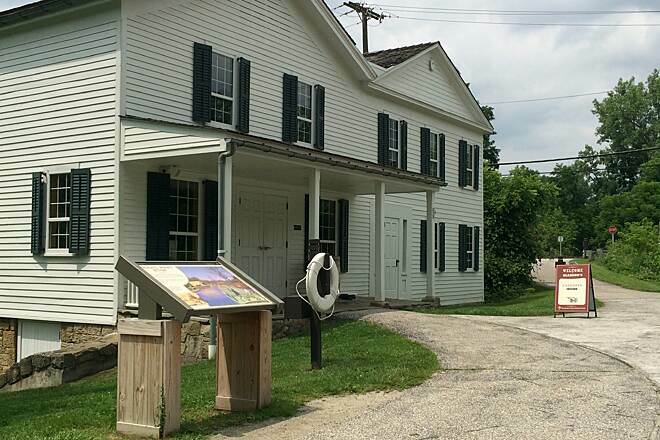 Akron offers some great historical stops and refreshment opportunities as well. 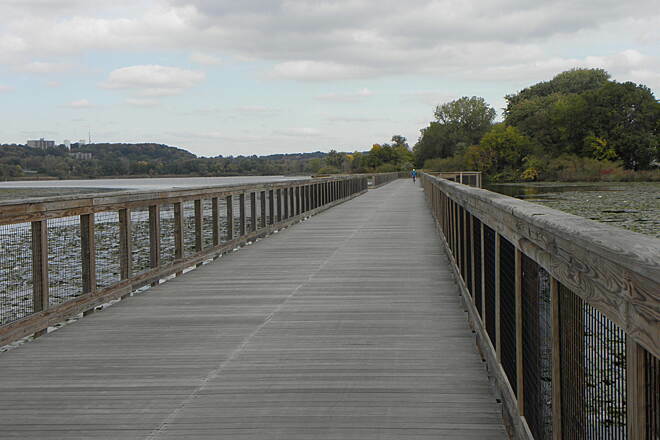 Moving south, the path becomes boardwalk as it floats across scenic Summit Lake on a buoyed bridge. 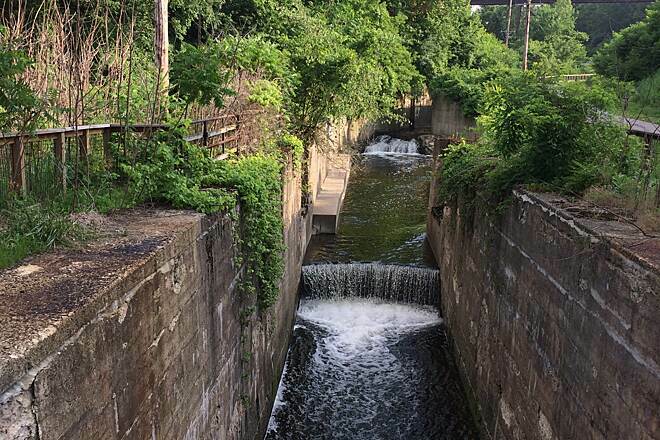 The trail transitions back to crushed stone with Clinton and Canal Fulton as the next stops; don’t miss the seasonal canalboat rides in the latter. 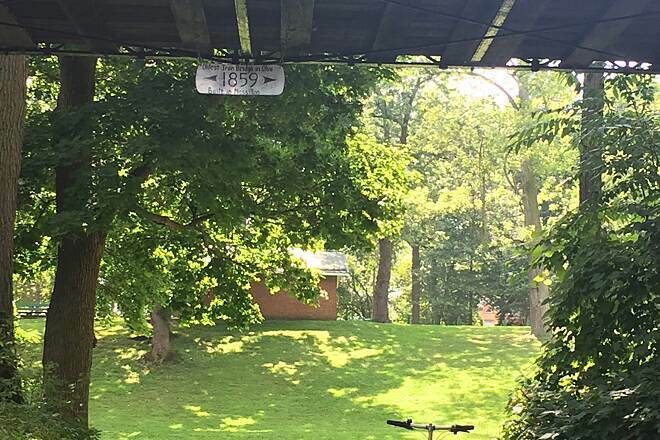 The quiet, shaded experience persists all the way to the next city of Massillon. Here, trail users again have a short on-road route to navigate. While not difficult, it does have a couple of short stretches along busier streets. The path is again beautifully quiet and wild until it comes to the southern trailhead at OH 212 just west of the village of Bolivar. 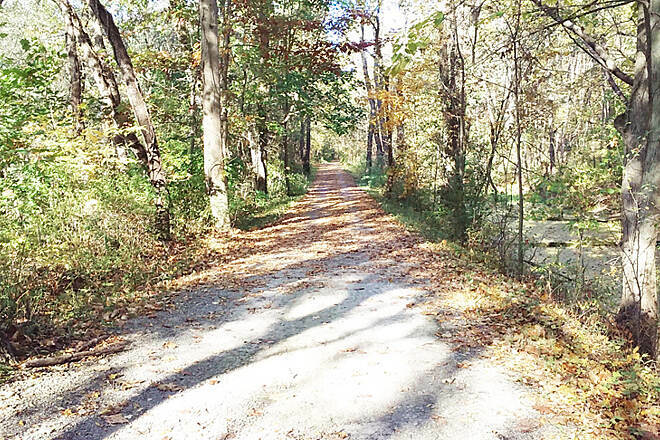 On the south end of Bolivar, the Zoar Valley Trail is accessible at Fort Laurens, though it’s a rougher ride best suited for hybrids or mountain bikes. 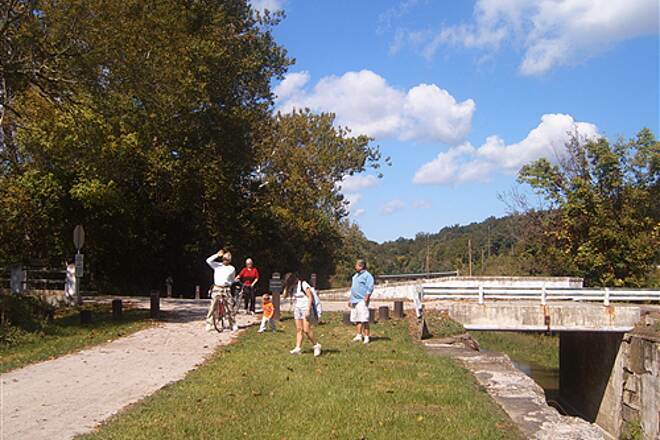 The Ohio & Erie Canal Towpath Trail is also a major component of the Ohio to Erie Trail. 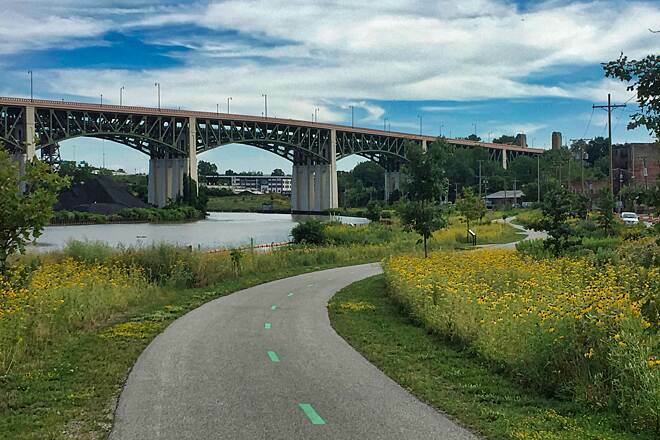 The growing 320-mile trail network will eventually span Ohio from the shores of Lake Erie in Cleveland to the Ohio River in Cincinnati. There are several places to park and access the trail along its 81-mile route; below are directions to a few of its main trailheads. 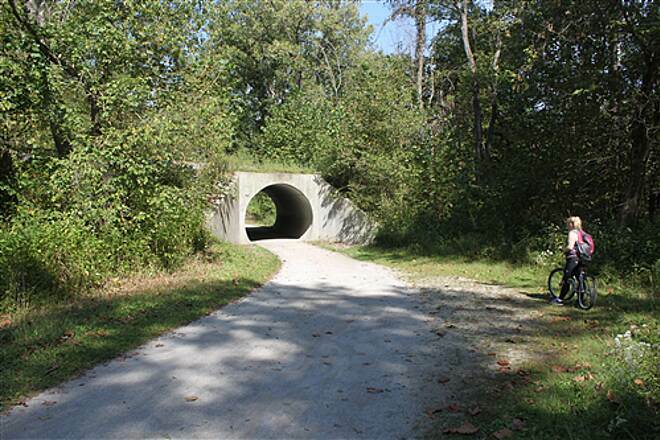 To reach the northern trailhead: From I-71, take Exit 246 for OH 176 S to Parma. 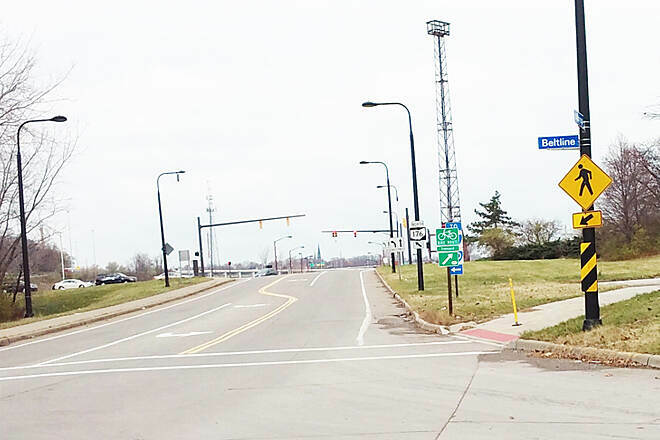 Head south on OH 176, and in 0.1 mile, take the Steelyard Dr. exit toward Jennings Road. Take a right onto Steelyard Dr., which becomes Jennings Road. 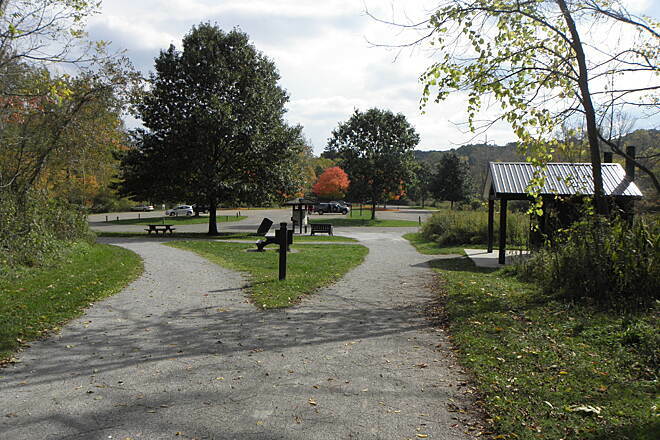 Go 0.5 mile and take a left onto Harvard Ave.; the trailhead is on the right in 0.3 mile. 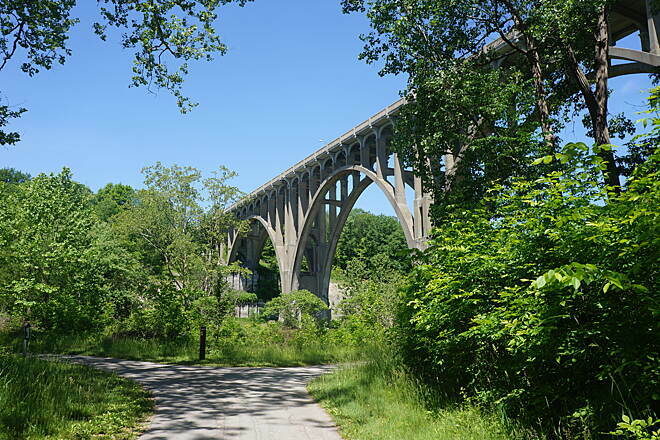 To reach the Peninsula trailhead within Cuyahoga Valley National Park: From I-77, take Exit 146, and head south on OH 21/Brecksville Road. Go 0.5 mile, and turn left onto Boston Mills Road. In 1.1 miles, take a right onto Black Road. In 1.2 miles, take a left onto OH 303/Streetsboro Road. 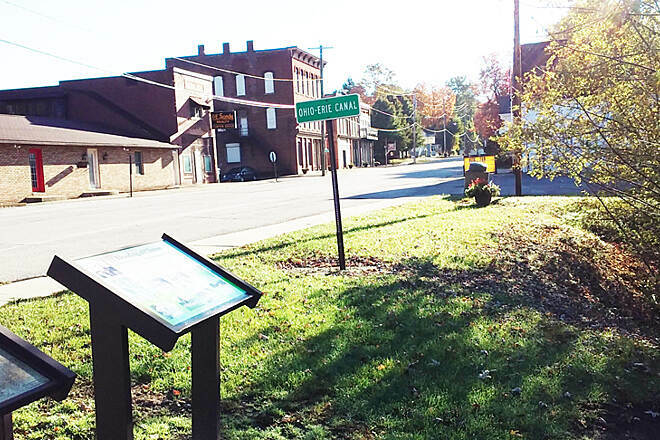 Travel 3.3 miles into the town of Peninsula, and take a left onto Locust St., then in 0.1 mile another left onto Mill St.; the trailhead is on the left. 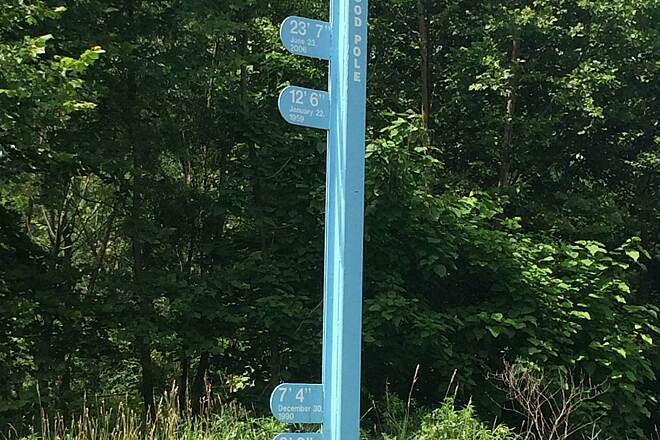 To reach the Bolivar trailhead at the southern end of the trail: From I-77, take Exit 93 for OH 212 and go west on OH 212. 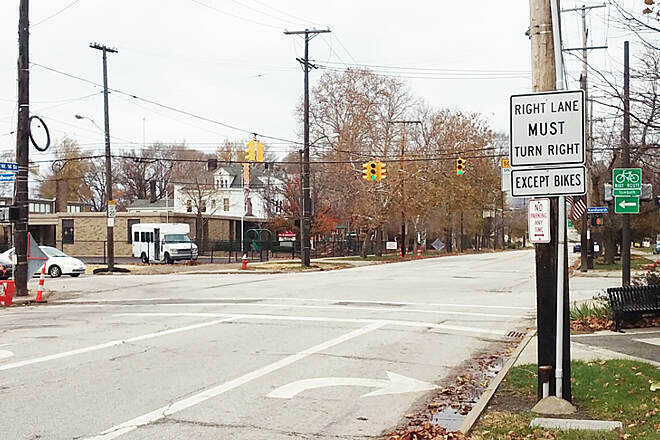 Go one block, and take a right onto OH 212/Park Ave.; go 0.5 mile. 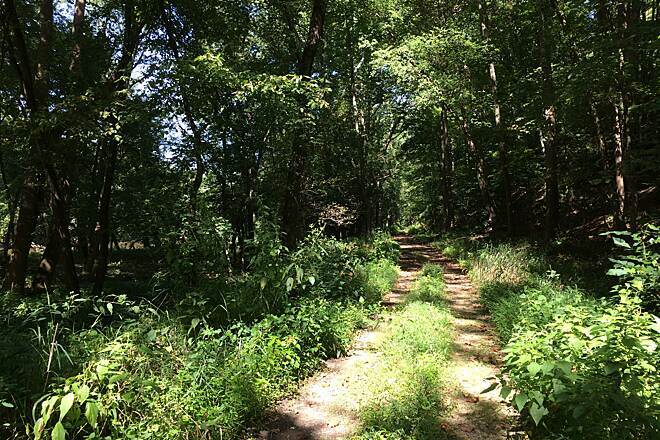 Take a left onto OH 212/Poplar St. Travel 1 mile and find the trailhead on the right. 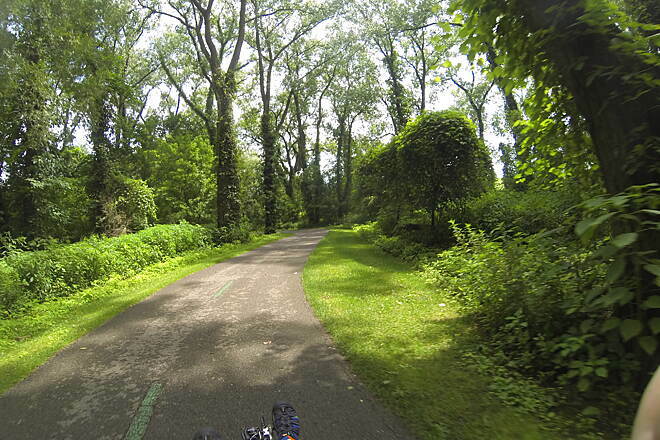 This is a section that I had not ridden before as it is not part of the Ohio to Erie Trail Route. 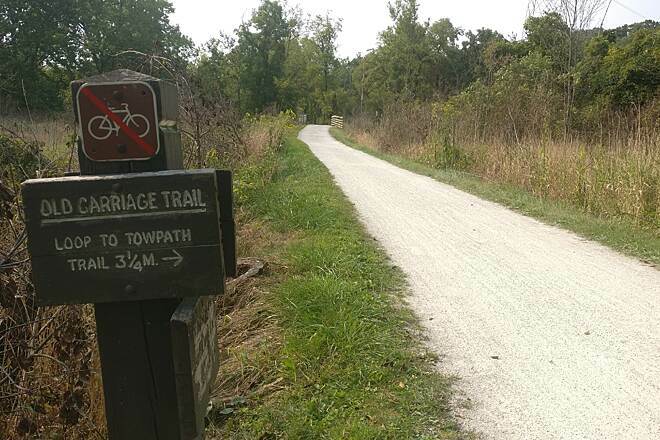 This is a nice trail with several nice trailheads along the way, but the quality of the trail surface is not as good as that of the crushed limestone surface of the Towpath heading north toward Cleveland. The limestone surface in this portion of the trail is inconsistent. 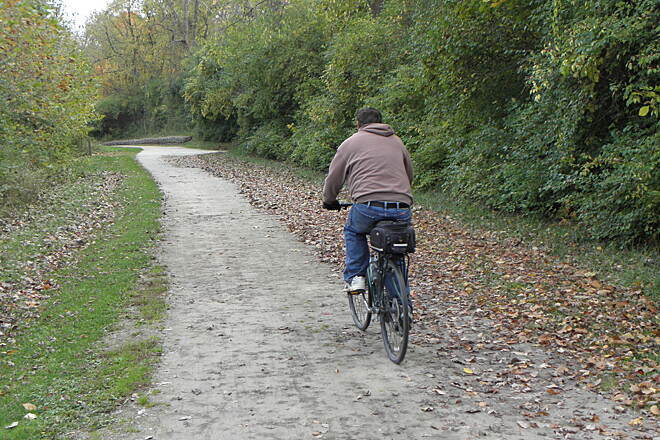 Some areas are typical of the Towpath overall, but in many areas the surface is more of a hard-packed dirt, which would mean mud after periods of rain. In other areas rain runoff has piled the limestone up into soft, loose areas that would be difficult for bikes with thinner tires. Occasionally, you will ride over short sections of pavement which I believe have been put down in areas where there may be flooding problems. Overall I found the condition of the towpath in this section pretty good, but not necessarily up to the quality of sections further north. In terms of the area and sights along this section I enjoyed this trail. 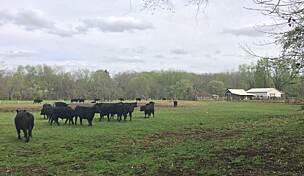 The further south you traveled the more rural the surrounding countryside became. While I might find myself traveling alone for several miles, I did not feel isolated. I came across other cyclists and quite a few pedestrians, through out my ride; not bad for a summer weekday morning. 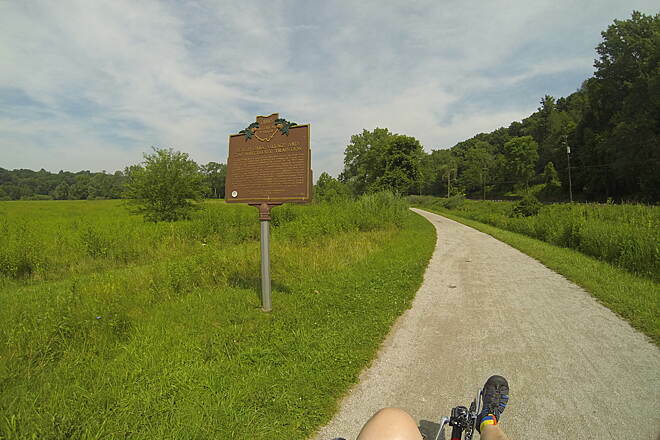 My one complaint is that the map here in TrailLink shows the trail ending at the McDonnell Trailhead on State Route 212 northwest of Bolivar, Ohio. 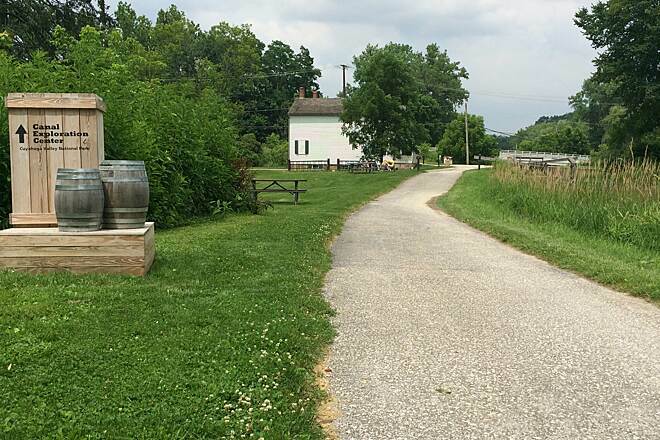 The trail does pick up after a short ride along Route 212 and makes a link to the Zoar Valley Trail after following bike paths, streets, and sidewalks to the Fort Laurens Memorial Site south of the town. This through-town bike route is well marked. It is much safer than following 212 through town. May 1 was a beautiful evening so after work I rode from Vanderhoof Rd to Forty Corners. The section between Butterbridge Rd (south of Canal Fulton) to Forty Corners was pretty rugged after a hard winter/spring. Lots of washouts and craters so ride a little slower and keep your eyes on the trail. 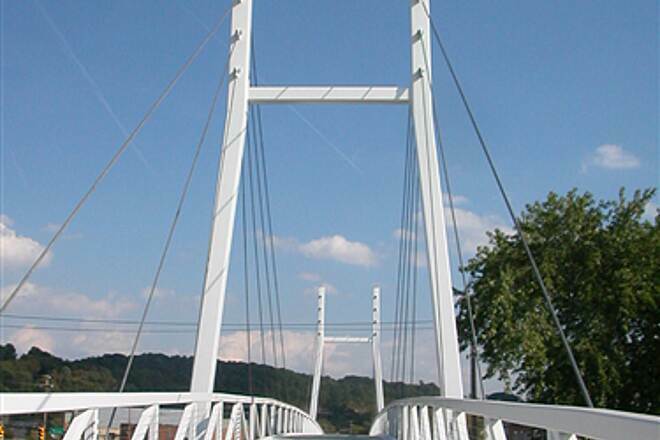 As an alternative ride the Olde Muskingum Trail on the west side. 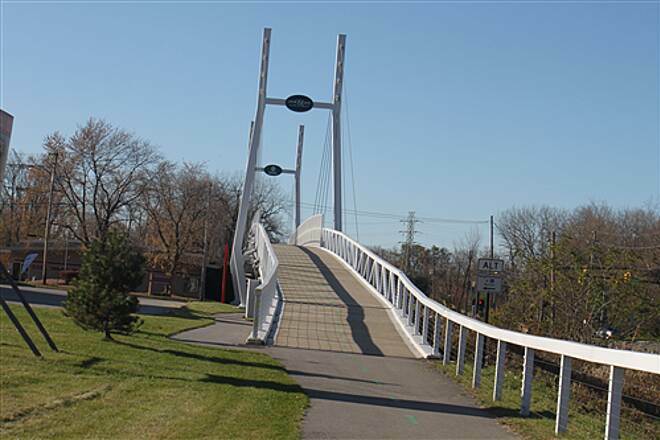 It can be accessed by crossing over the river on Cherry St in Canal Fulton or over the Forty Corners Bridge (now just pedestrians and cyclists) or in the middle on Butterbridge Rd. 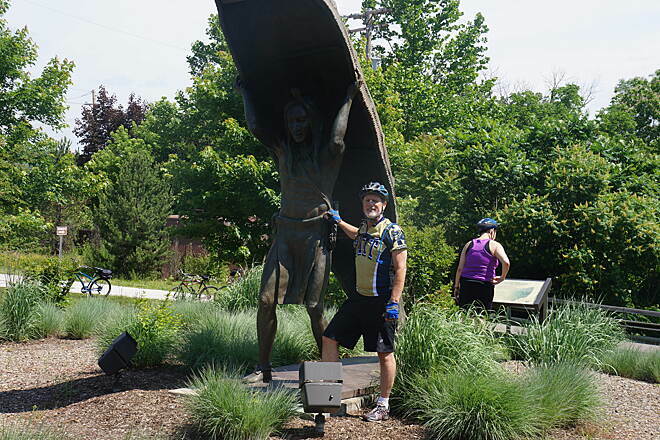 I was able to complete the entire Ohio and Erie Towpath Trail over a two day period. First day rode from Cleveland to Mansfield, finished off the second day. 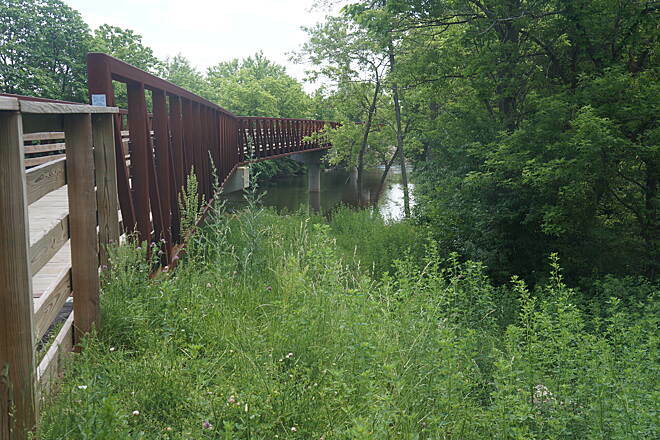 A beautiful ride as the trail passes through woodlands, small towns and larger cities. 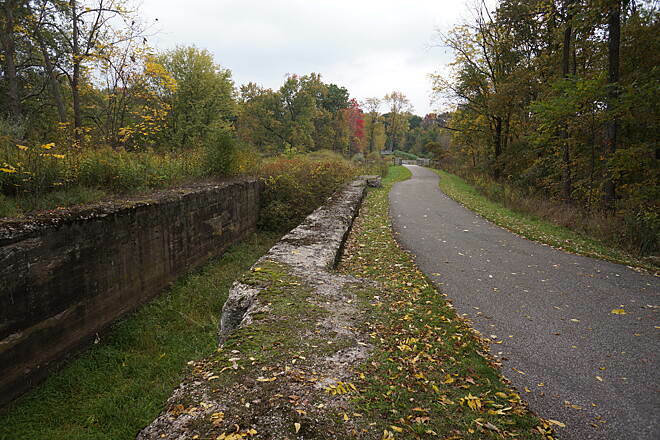 I did a ride over a weekend on my road bike from Lock 39 trailhead towards south about 8 miles (and back). 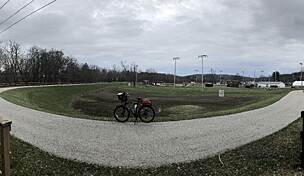 Most of the route is limestone and gravel but hard and few patches are asphalt (but they are very rough). On a sunny/dry day, you could expect some amount of dust on your bike by the end of the ride. To me on my bike it is an ok ok ride. However, a mountain bike or a hybrid bike with wide tires would be better suitable. On the other hand, it is a very good trail for a hike, walking and jogging. The better side is, it is a bit scenic trail for walk/jog. 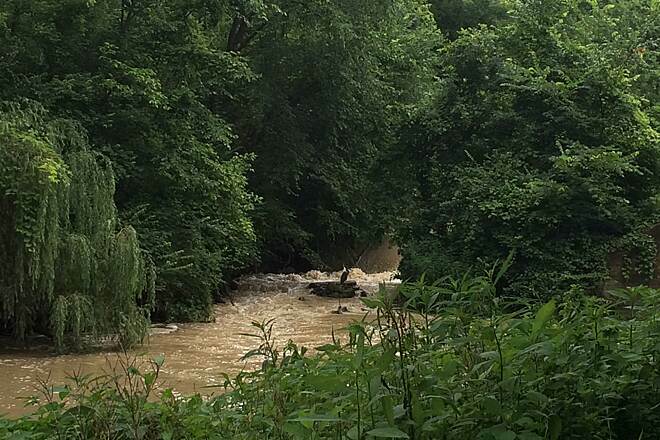 The cuyahoga river runs through the trail and is beautiful to look at all the greenery. 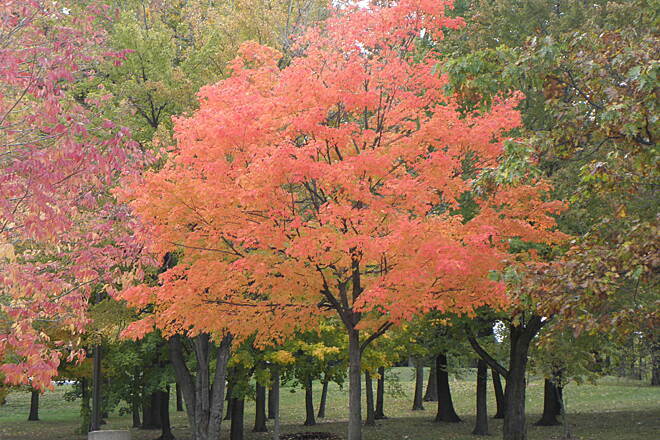 I am sure it would be pretty beautiful around fall season. New to cycling, my initial thoughts of my time on parts of this trail. I'm new to cycling and desired a safe place to ride. 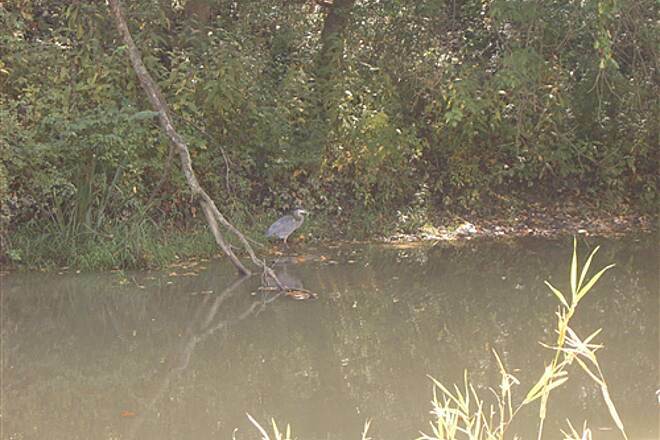 Canal Towpath is close to me, so I went. I've done two sections about 6-9 miles each (one way). 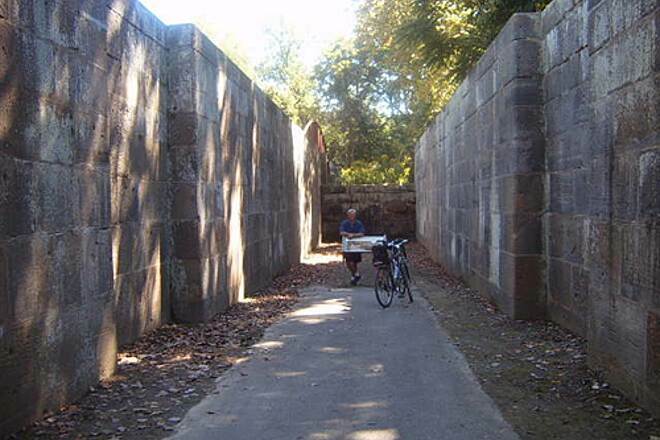 First time I was going to start in Peninsula at Lock 29 Trail head. Parking was over crowded there on a Saturday near noon. 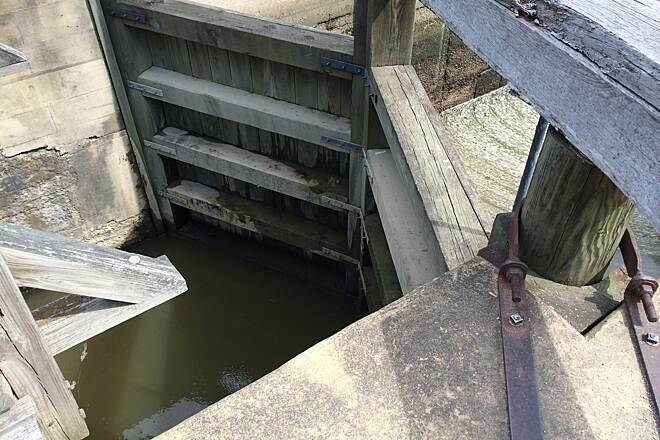 Avoid Lock 29 as a starting point. Went just south to Deep Lock instead. From there I went about 6 miles southward to Botzam TH. 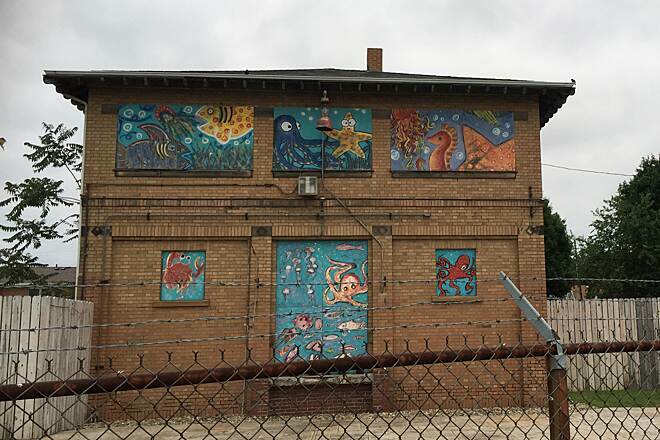 On my second visit, I started at Botzam and went to Lock 3/Canal park Akron. Most of that ride was great. Good trail, nice views and surroundings. Friendly folks in minimal amounts. 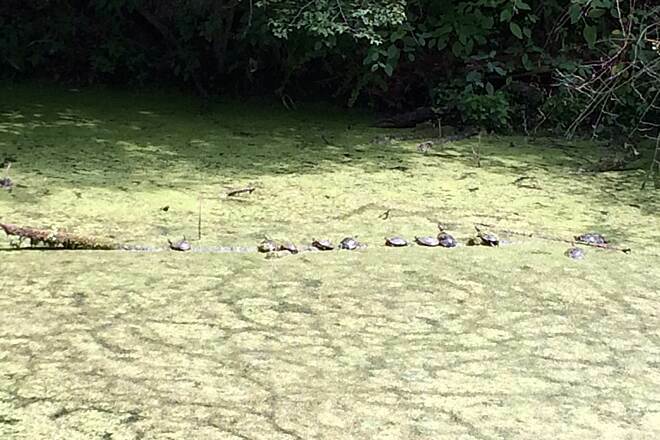 Saw deer, Geese, snakes, turtles, etc. Only a few street crossings. The not so great part was down near the Mustill Store. Trail had detoured me onto neighborhood roads and a very steep hill for a bit. Got past that, back onto a trail, to then be put back on the road in Downtown Akron. I didn't mind that so much, but had my girlfriend been with me, she would have refused. Arriving at Lock 3 was nice though. There was a Hamburger festival going on with live music and vendors. I stayed for a bit to enjoy, before returning back to Botzam. Overall great experiences on this trail, even with the slight issues around DT Akron and Mustill. I plan on returning to do other more lengthly stretches heading north from Boston soon. I'd like to figure out a way to do the whole thing next season if possible. I recommend this trail do to its over all length. Many places to jump on and do short tours. A couple Bike shops along the way, as well as a couple other points of interest. Restrooms every so often. The Bike Aboard system looks great too. Lots of good stuff about this trail. The good far outweigh any particular bad that you can run into. We parked at Canal Fulton and rode north to Center Rd north of Clinton, then turned around and went to Lake Ave north of Massillon. 30mi round trip. Beautiful trail. Crushed stone most of the way, flat and shady. The trail got a little narrower near Massillon. Canal Fulton is a nice little town with lots of ice cream shops. 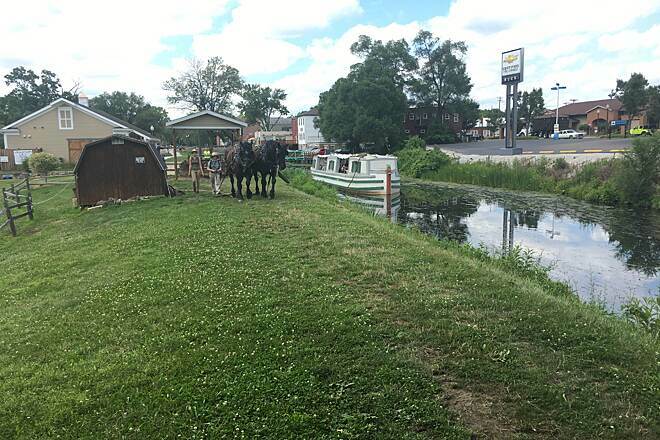 It also has historic boat rides pulled by horses. Timing worked out that we got to watch one go by. We have ridden all the sections before but decided to ride it end-to-end and make a century ride out of it. We parked a vehicle at Ft. Laurens near Bolivar and a friend drove us up to Lock 39 trailhead off Rockside Road in Independence. From there we rode north to the end of the path at Harvard Road. The route continues north with short sections of bike path intermixed with city streets but we opted to stay off the streets. Turning and heading south the bike path is paved for 6 miles until it enters the Cuyahoga Valley National Park. 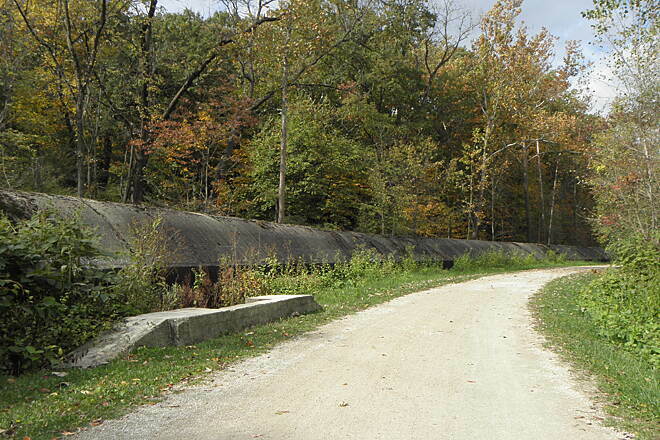 A couple of recent developments: The section in Akron between memorial park and Mustill Store is closed for construction of the Interceptor Tunnel (a MASSIVE sewer project). The detour is well marked but it goes up a very steep (but short) hill from N-S. Between Exchange and Cedar in downtown Akron the path is open even though there is a signed detour but it is one lane so ride slow. There is a new section of path to get off SR212 coming into Bolivar. 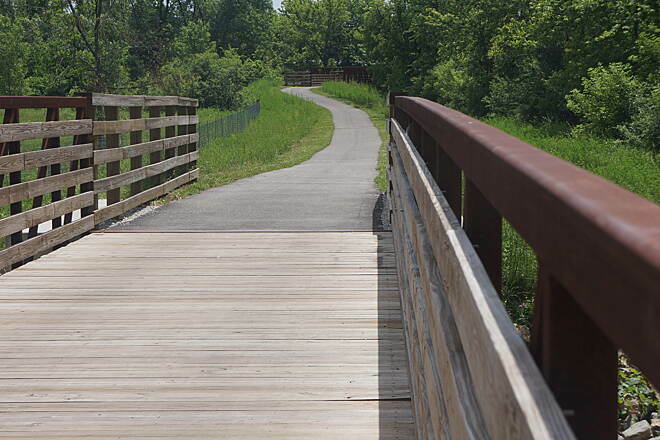 You have to ride about 0.3 miles on SR212 from McConnel trailhead to reach the new path at the ballfields. From Ft. Laurens down to SR800 the path is well graded with a fine crushed stone surface. 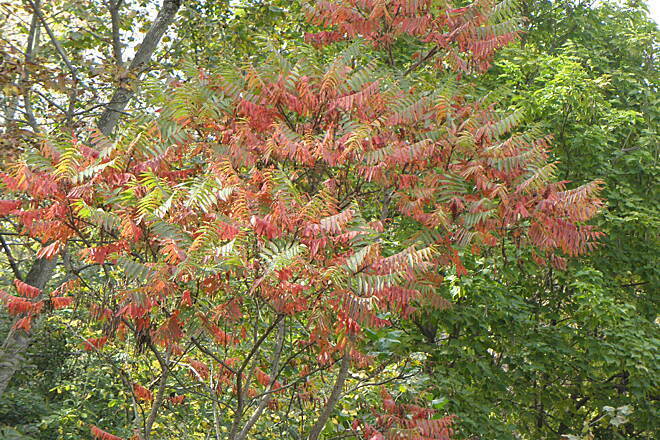 It is narrow in many places - ranging from 3-5' wide. 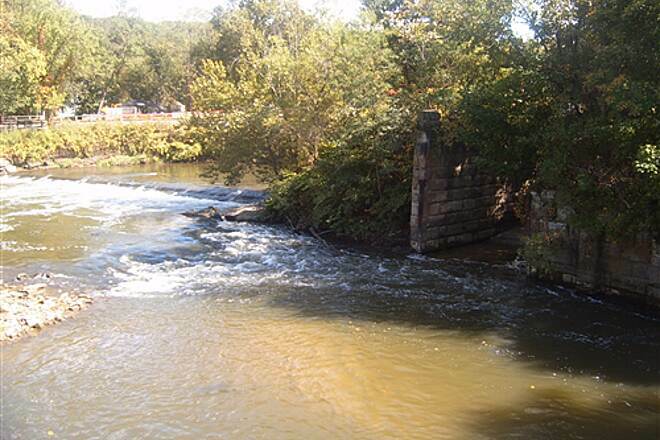 I would recommend riding the old bridge over the Tuscarawas River to Zoar Village (about 0.6 miles each way. Its a historic distric that was a communal village in the 1800's with many original structures. 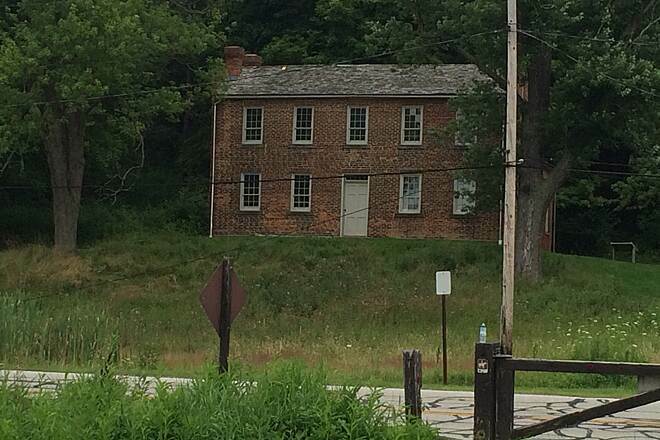 At SR800 it is possible to pick up the Zoar Valley Trail to continue to Dover/New Philadelphia. 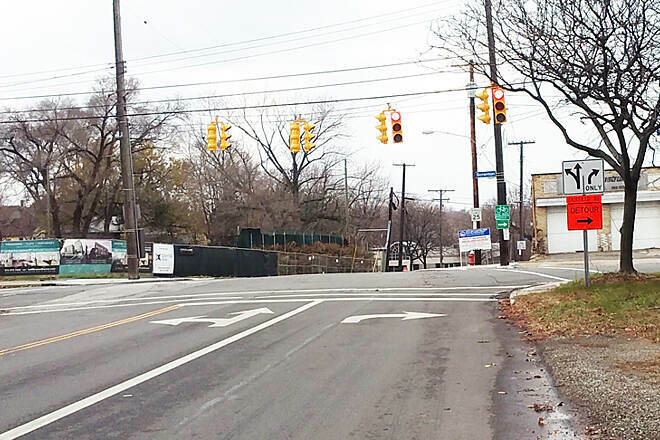 There are bike lanes on either sides with crossing flashers which were recently installed. 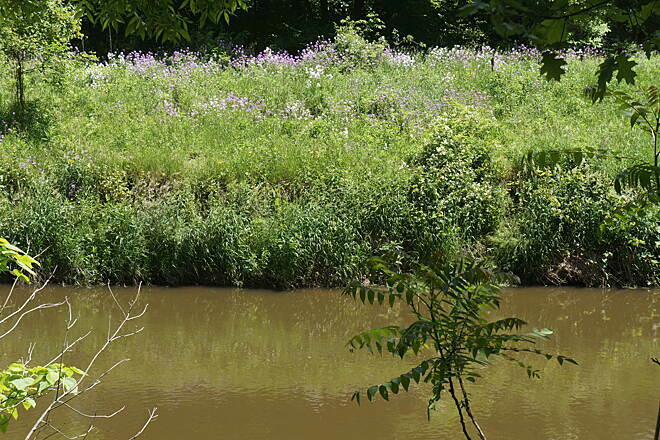 The Zoar Valley Trail is about 0.3 miles east of the OETP. However the trail is a loose river gravel surface better suited to hiking or mountain biking. 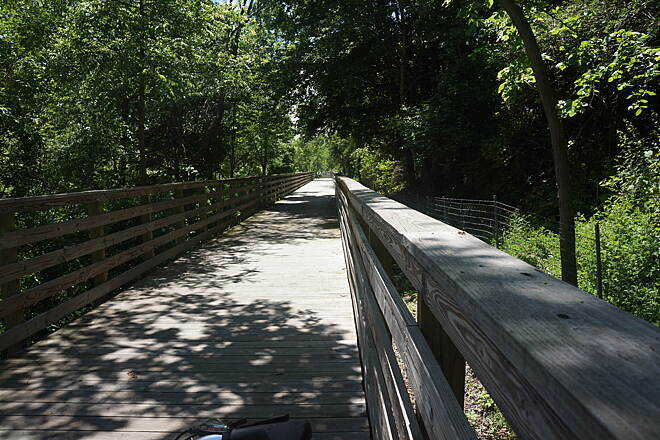 We decided to ride a few hundred yards on this trail and turn around at the Zoarsville Station Bridge and return to our car at Ft. Laurens instead of struggling on to the Dover Dam. 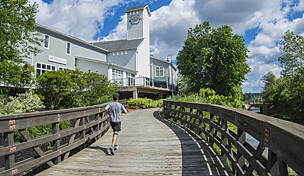 A couple of other interesting things - There are lots of places to eat and more importantly get ice cream along the trail. The fruit sundae at Szalays Farm Market on Bolanz Road is my favorite. Plus several bike shops. 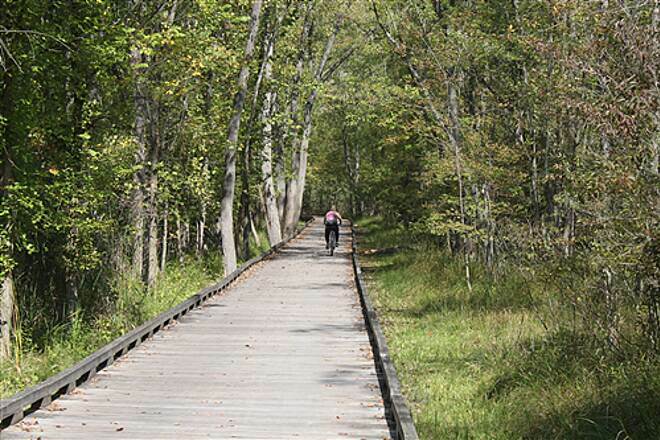 The visitor centers and gift shops of the Cuyahoga Valley NP give you a chance to stretch your legs. I always lock my bike when its out of sight so I make it a habit to always take my lock. 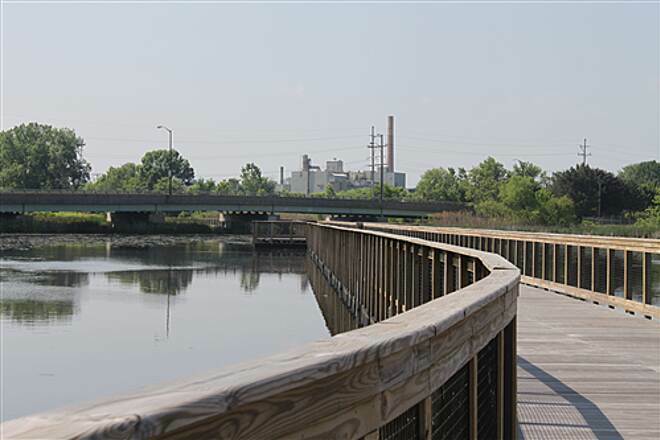 This trail also passes Wastewater Treatment plants in Cleveland, Akron, Barberton, and Massillon so thats just one more bonus. 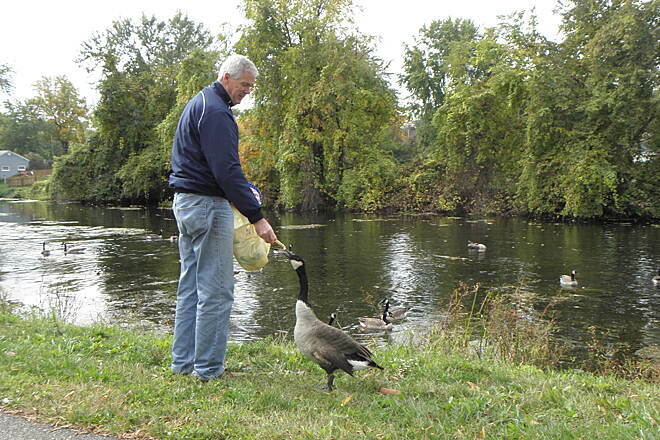 Wildlife is plentiful depending on the season. 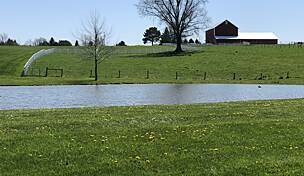 Bald Eagles, deer, turtles (sliders and snappers), woodchucks, otters, mink, beaver Canada Geese (with their fuzzlings this time of spring), ducks, great blue herons (who have a rookery off Bath Road). A few years ago semi-professional Bigfoot Hunters were setting wildlife cameras for Grassman - Ohios variation so you may get lucky with a Bigfoot spotting. 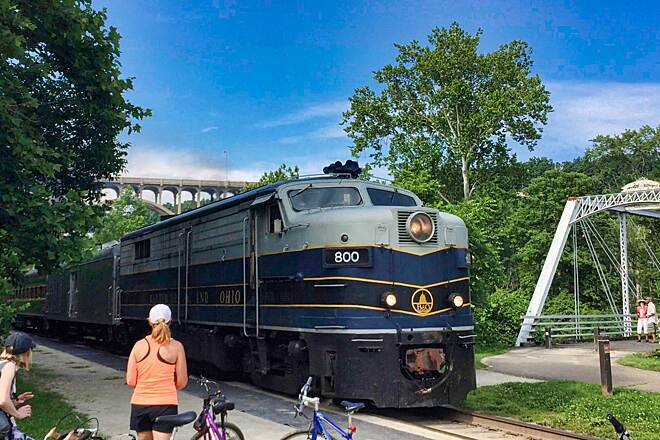 Check into the Cuyahoga Valley Scenic RR which offers a Bike Aboard service to let you and your bike ride one way for a few dollars. 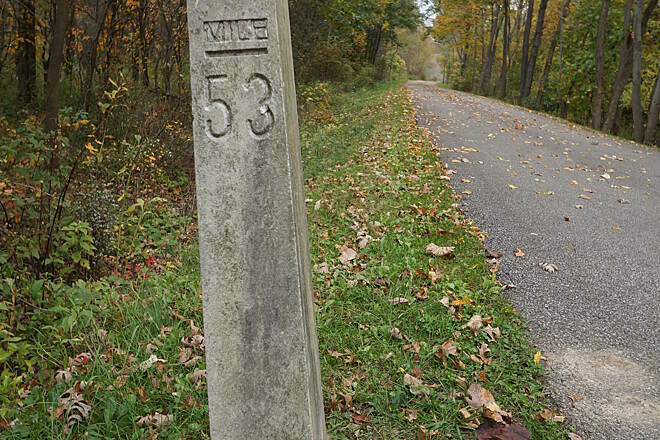 I rode this section and completed the Northern most section of the Ohio to Erie Trail. 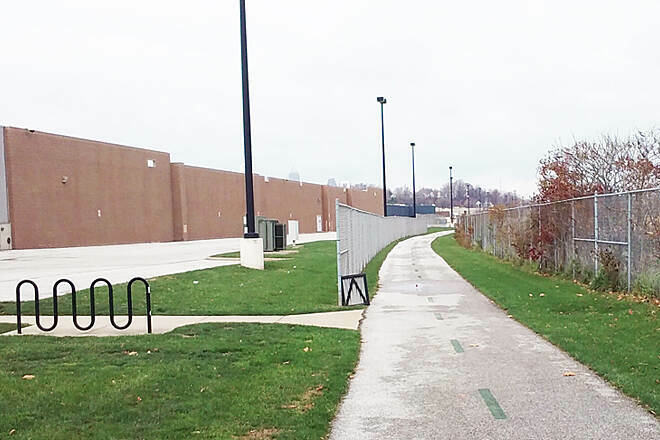 In Cleveland, the trail is mostly on busy city streets, coexisting with vehicles. Twice I tried to post the turn-by-turn pictures, but for some reason the Northern end pictures in Cleveland haven’t been accepted. 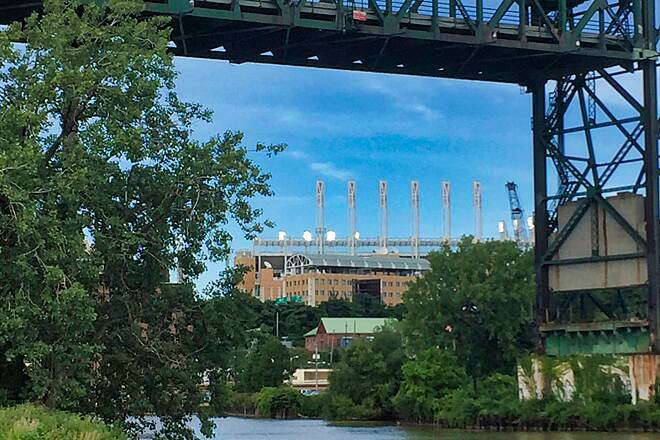 The trail was mostly scenic, until it entered Cleveland. 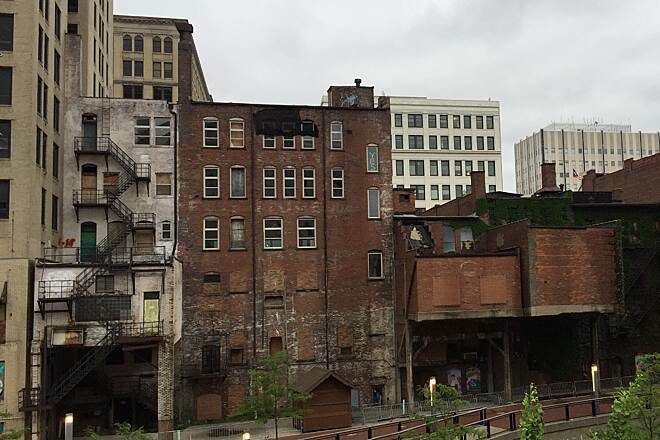 Drew Carey might think Cleveland is the best thing since sliced bread, but the view from this trail had a lot of scrap yards, rock quarries, sewage plants, and vacant buildings with their windows broke out. In other words, a lot of urban decay. I don’t ever plan to go back. 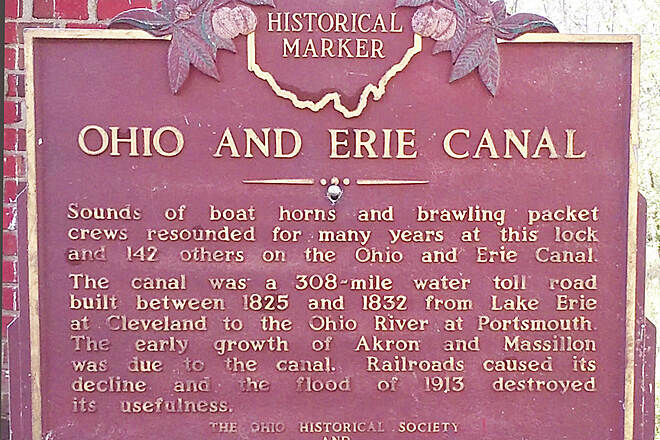 The Ohio to Erie Trail was supposed to go to Lake Erie, the “Erie” in the name. 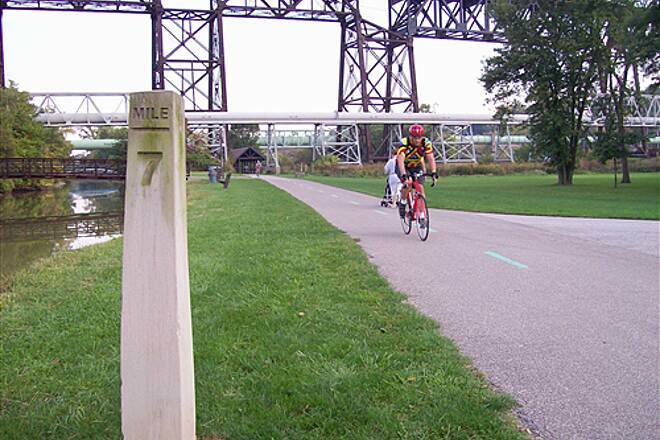 But this trail does not actually end at Lake Erie; it ends about half a mile South on the North end of the Carter Road vertical lift bridge. I’m not going to risk riding on the busy streets of downtown Cleveland and end up like Andrew Gast-dead inside someone’s windshield. 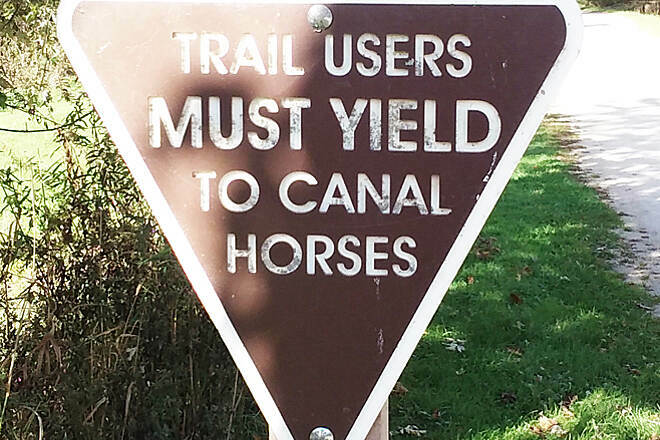 There are too many other safe trails that are not on public roadways. Members of our group ride quite a bit, but nothing too long except for Buckeye Breakaway (75 miles each way). We typically start in Independence and end in Peninsula, but decided to head South from our typical end point. What a great ride. Little change of pace, but less crowded and offered a few different elevations and road types. Got into the Valley area and stopped for lunch, got back on the path and kept heading toward the Akron trail head. Heading back appeared to be more downhill so it helped the less experienced riders. 25 miles in all and the trail was immaculate. 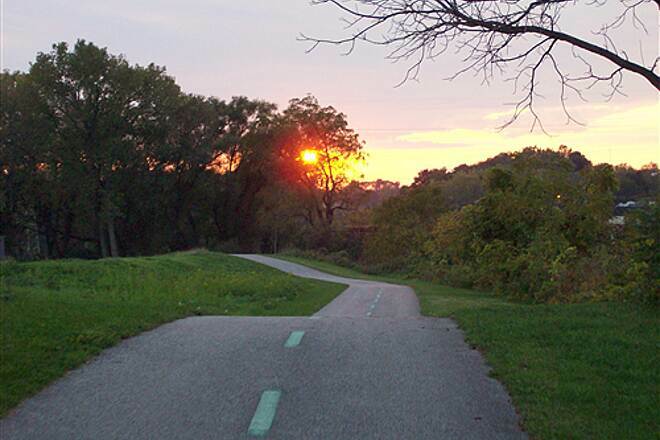 Do yourself a favor and experience one of the best casual bike trails out there. OECTT is all a trail can be. 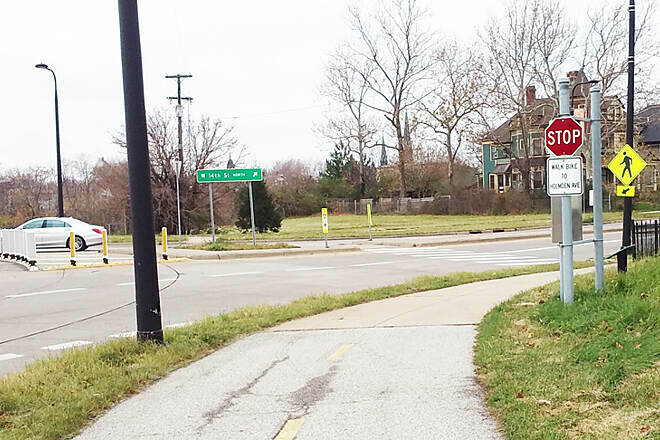 I've only done the path south of Akron where the bikeway is closed from dusk till dawn according to signage at every crossing. 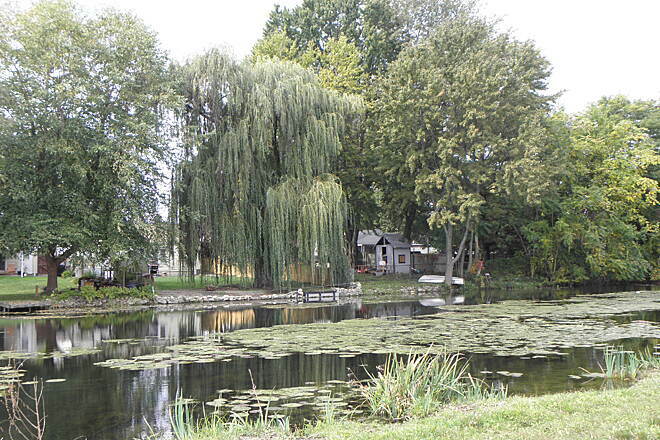 The pond just south of Akron is really scenic. 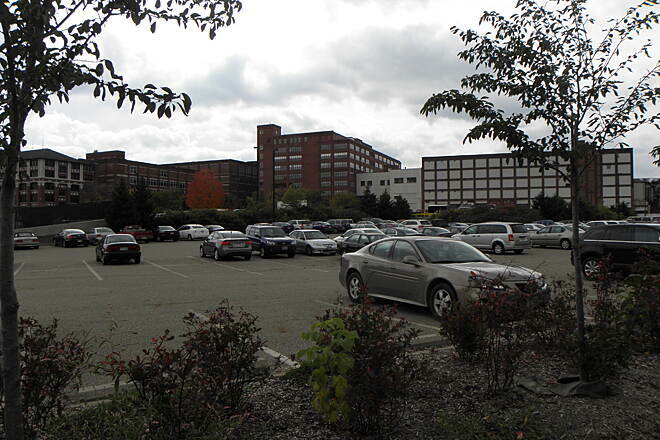 The south end of Barberton offers a shopping center just off the trail. 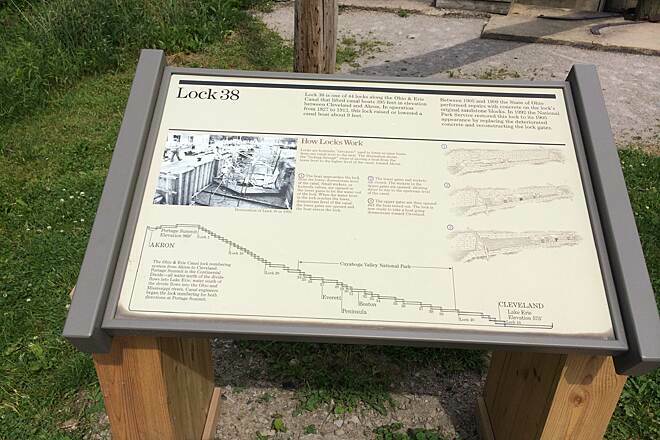 The canal locks are magnificent and offer information panels that are unfortunately becoming unreadable. 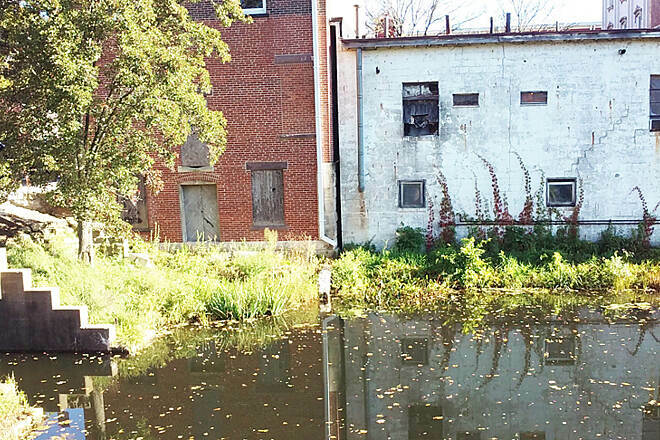 A canal boat, and awesome creamery are a couple POIs to look for in Canal Fulton. Further south along the river you'll find Massillion and Naveere. I guessed on those spellings just now. It's a great ride and you can find another creamery in Naveere. They're pricey but it's premium ice cream. Plenty of nice scenery on this segment. 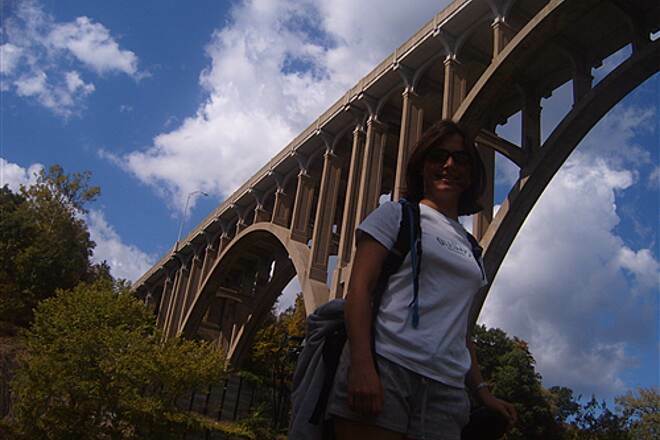 We spent the 4th weekend doing the Ohio & Erie Towpath, Western Reserve Greenway and the Alleghany River Trail/Sandy Creek Trail. I have posted comments on the other two trails. 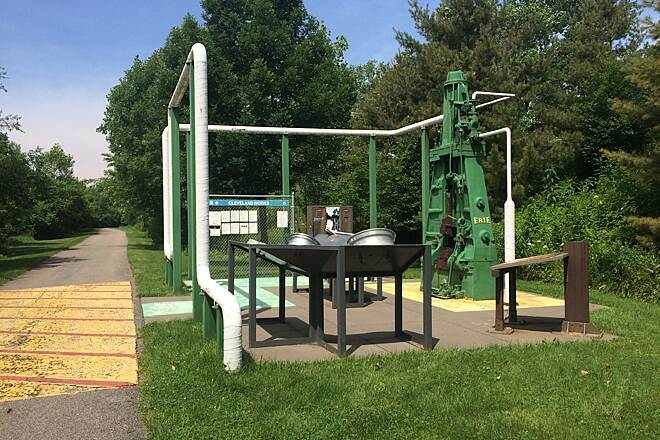 This is a great trail well maintained plenty of amenities and some nice scenery. The only problem is we were there on a holiday weekend and at our start point Peninsula it was very crowded. Which is great!. The only exception was the few knuckleheads who thought they should play their Tour de France fantasy. 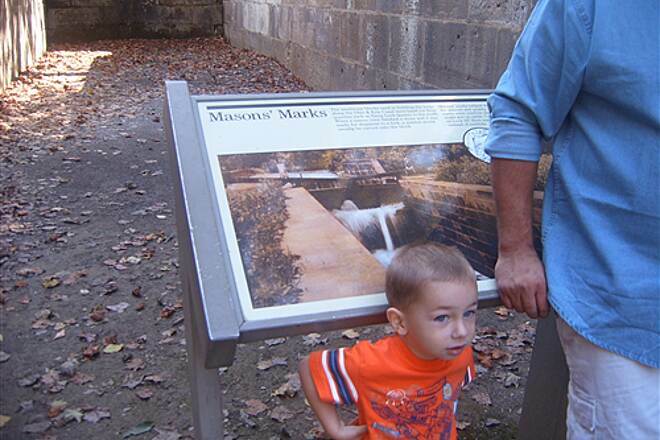 With all the families and children on the trail that day extra caution should of been taken. The NPS even had periodic Safety Stations setup which was great. But the few idiots should of been courteous but were not. If you do this trail start at an location in a more remote area and do it Tues-Fri.--or colder days. 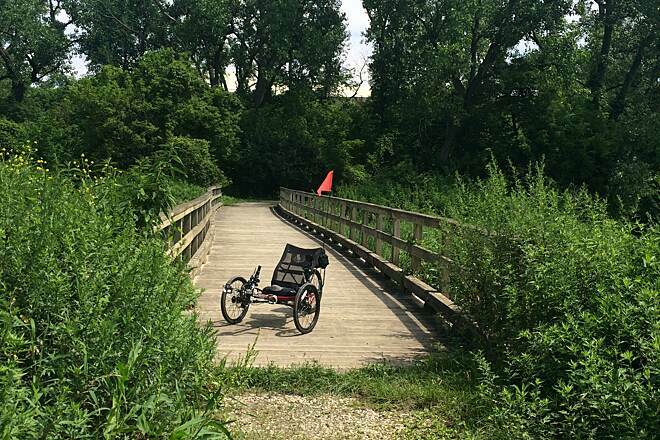 This is truly a great biking trail. Thanks to the NPS for maintaining it. 75.9 mile ride headed mostly west. Great day ride. I did stop in to see Fort Frederick on the way. You can get off the C&O there and get on the Western Maryland Rail Trail, but I had set a goal of using the towpath as it goes right by the house. My family and I rode the trail from one end of the train route to the other. 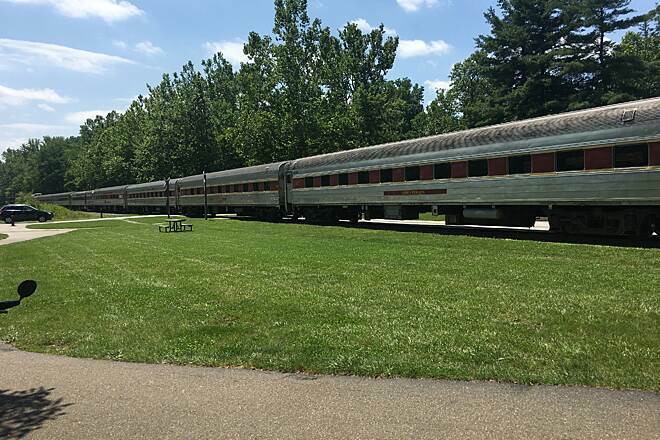 What a great 30-mile ride, knowing that we would be able to relax on an air-conditioned train with other cyclists who wouldn't notice how sweaty we were! We'll be back. I am lucky enough to live by this trail. Different sections have a different feel to it. So, depending on what I feel like, depends on where I start and whether I head north or south. South from Canal Fulton the trail is a bit rougher overall once you get bout 2 miles south of Canal Fulton itself. 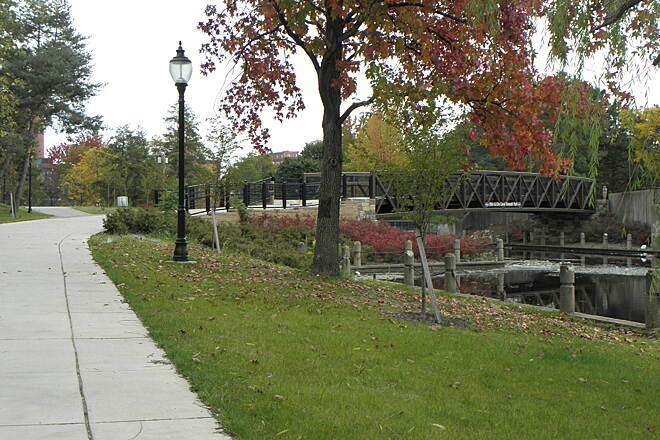 Scenery is quite nice, and you have ice cream stands at both Canal Fulton and at Massillon. Going north from Canal Fulton is fairly quiet for roughly 5-7 miles then you get a bit of a hill, then a flat for 2 miles, then one big hill and the rest is just dealing with elevation changes made for the path until you reach Akron. 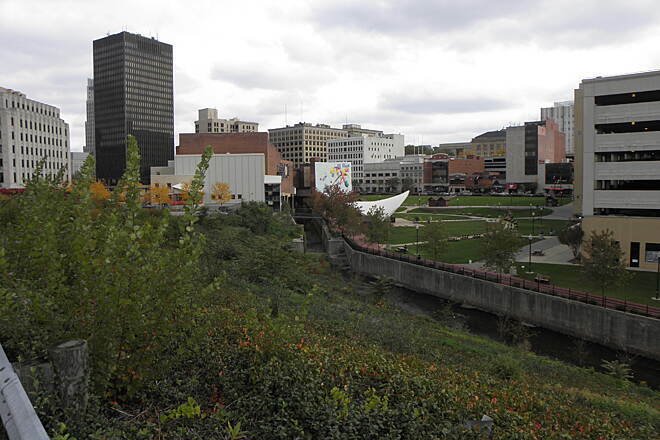 Going through Downtown Akron is the only really challenging section (for a rails-to-trails path) on this entire trail, which I advise skipping unless you enjoy the challenge. Once north of downtown Akron, the Towpath is quite scenic all the way north to the end (which on my last ride is like 10 miles shy of Cleveland proper). 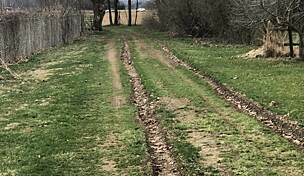 The trail is a mix of limestone, to dirt, to sections of pavement, to a bit of gravel here and there (most gravel is to the south, most dirt is towards the north). Sadly, this is not a great MUP for early Spring until it dries out due to softness and mud, but once dry, random rain is not an issue. Personally, I find that I get bored riding over and over on paved MUPs all the time. 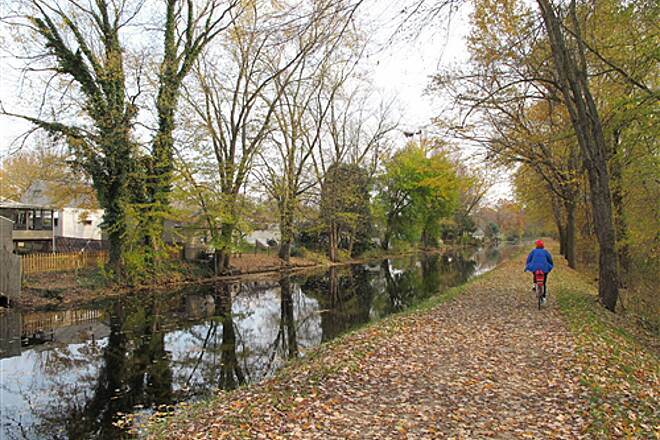 But I can do 100 mile weeks on the Towpath and enjoy them all season. Why you ask? 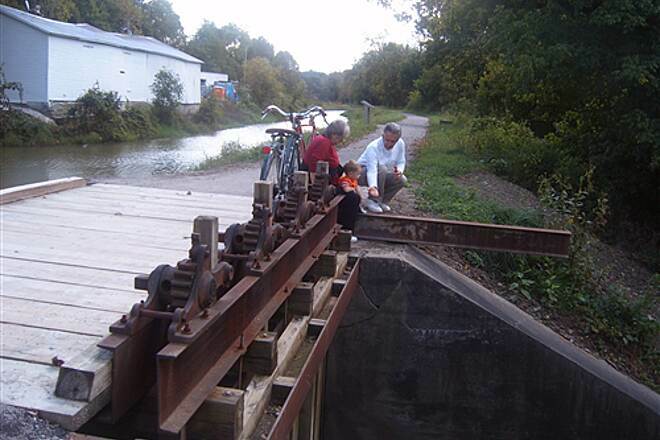 Because the Towpath is different every ride. 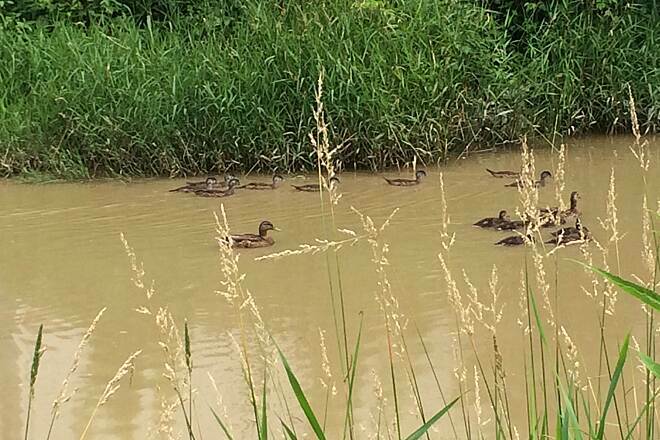 Different creatures, the Towpath itself changes over time, I feel you get a wider variety of people on it. The width changes making it more challenging to pass and be passed. What can I say, it's my thing. I was delighted with the diverse scenery and the wonderful ride. Some slight hills to add to the challenge. My wife and I have ridden most of the major trails in Pa, Md, Va, NY, and W Va. Last weekend we drove out to Ohio to give this one a try. It was well worth the 6 hr. drive from Eastern Pa to get to this one. 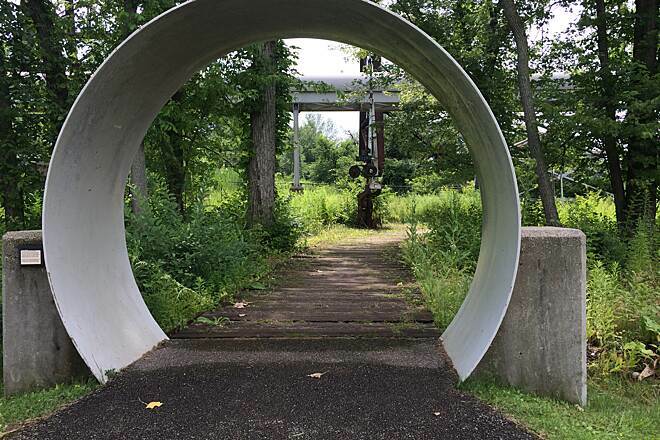 Not your typical rail-trail, or canal tow path, where you can ride for miles in a straight line (could probably do some of these blindfolded), but this one has several sections that wind through wooded areas, with some slight grades here and there. The first day we rode round trip from Akron to Cleveland. Second from Akron to a little south of Massillon, and back. 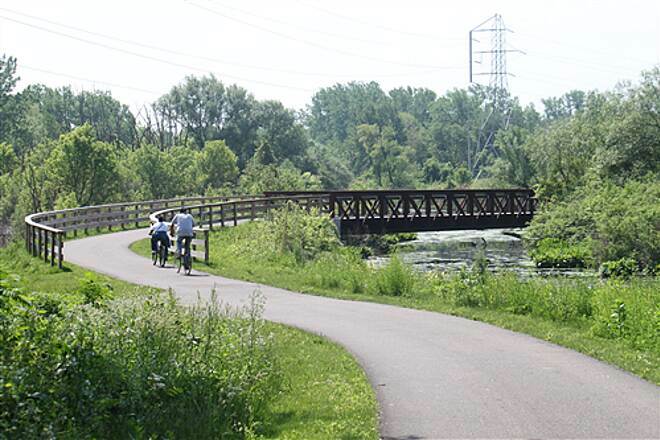 Great Trails for walking or biking. We rode from Clinton to Summit Lake and enjoyed the ride very much. 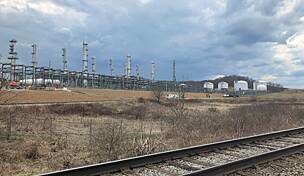 Even though it is pretty industrial close to Akron, it was interesting to see all the different uses of the land along the trail. 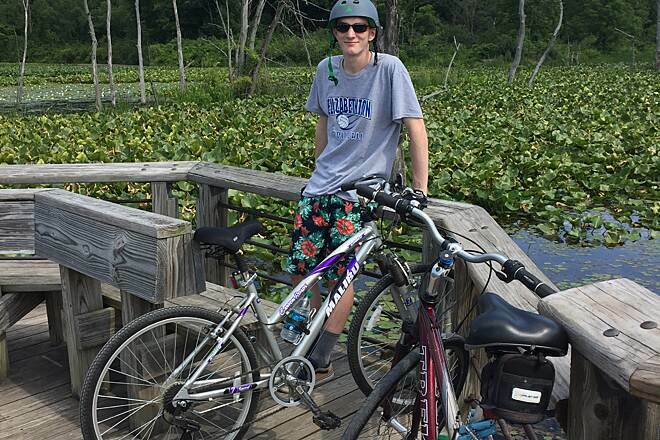 The boardwalk on Summit Lake is a really fun riding experience. 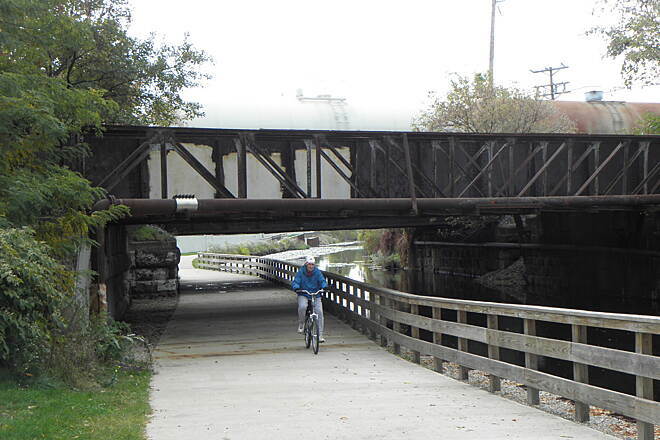 We really enjoy the Canalway Towpath Trail. We live in Akron and ride it frequently. A week ago we decided to ride from Cascade Locks Trailhead north to Boston Store. We encountered a trail closed sign as soon as we crossed the street. The woman at Mustill Store told us to ride to Hickory, follow Hickory to the end, and then get on at Memorial Parkway. The directions were easy enough, but Hickory has a LARGE hill - fun going down, but a pain to ride up. 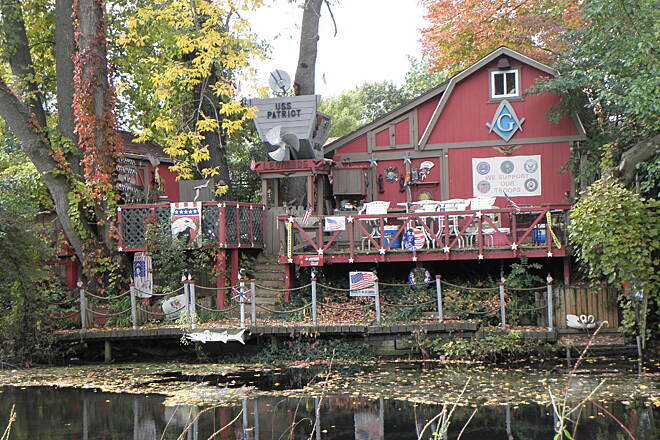 There was also a small detour in Merriman Valley, but good signs for it. 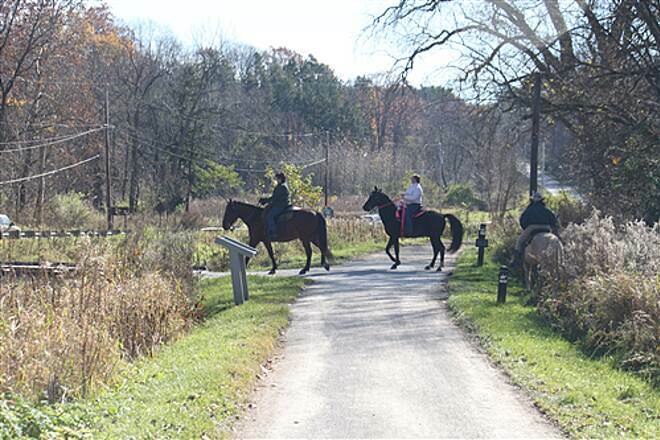 The ride through the Cuyahoga Valley National Park is beautiful - not to be missed. 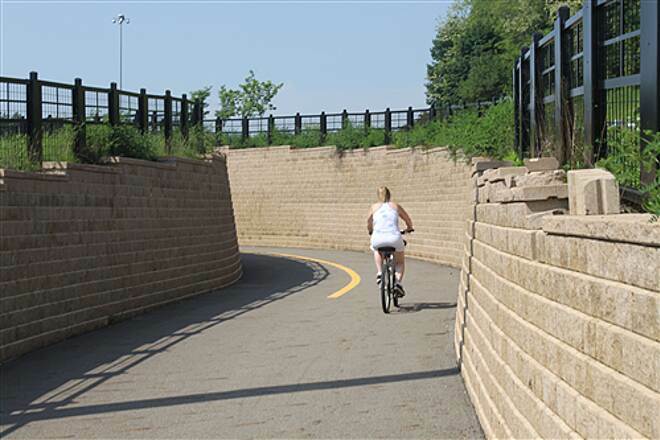 Although the surface is mostly crushed limestone, it is very hard because of the constant use, so easy to ride. 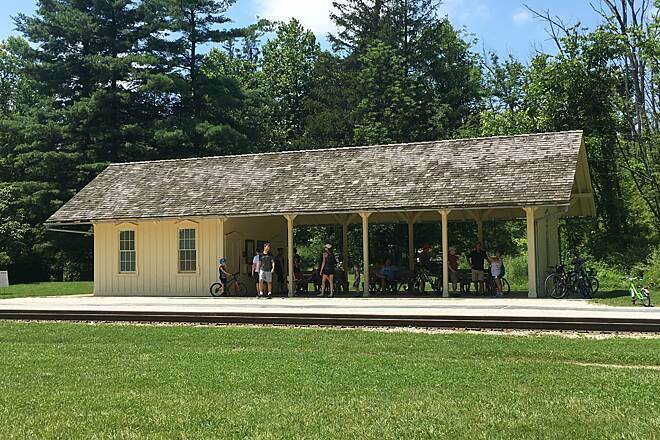 We started our biking in Peninsula at the Cuyahoga Valley Scenic Railway(CVSR) station. There is plenty of free parking. The station is located off of the main street behind the Winking Lizard and Century Cycle. 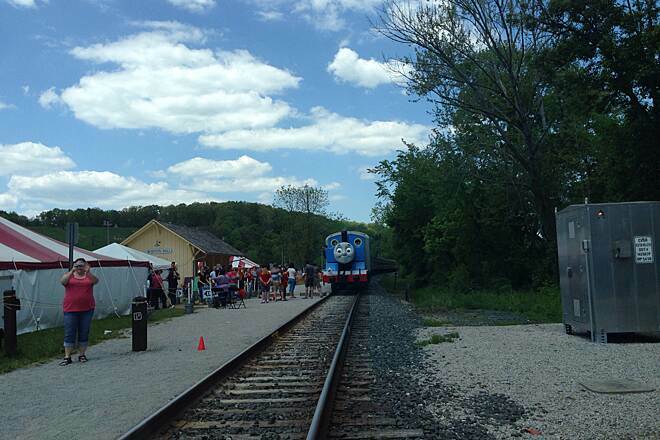 Due to rains the CVSR only runs one stop south of the Peninsula stop. Normally, it runs to Akron. 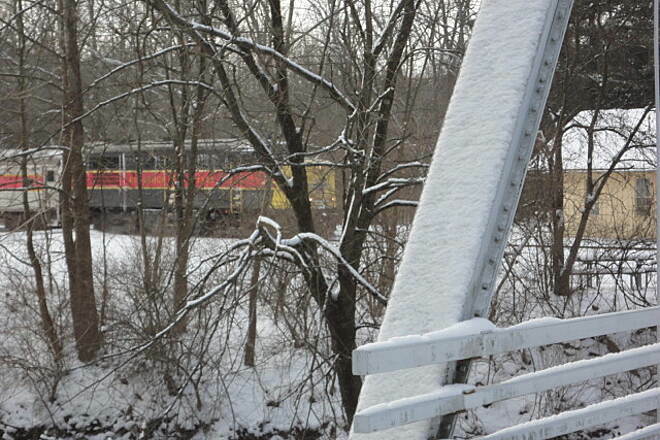 Check the railways website for current information and train schedules. 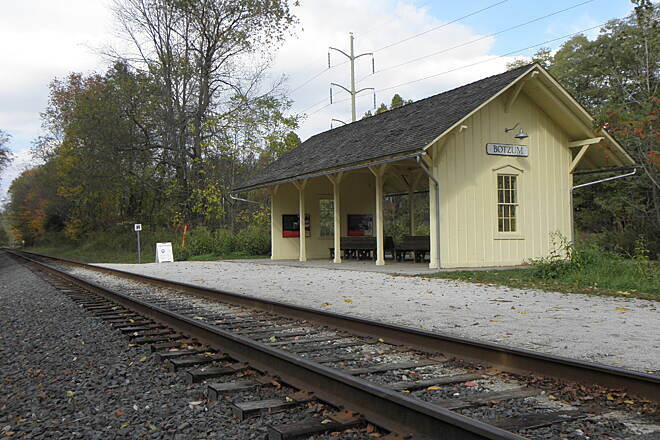 We rode north to the northern most train station at Rockside (13 miles). The trail is mostly wooded and very pretty. The path is mostly crushed stone. We saw two deer on our ride. There are several bathrooms along the way. The train only costs $3.00 for bike and you. They also sell beer, snacks and other drinks. The beer made the trip back too short. The next day we rode from Barberton to Canal Fulton. 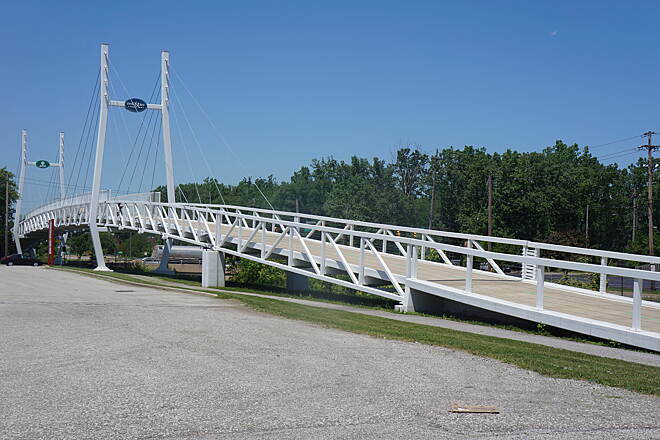 Barberton just built a bridge in downtown that lets you get off the bike path to go into town. You have to ride across the viaduct to get into town. 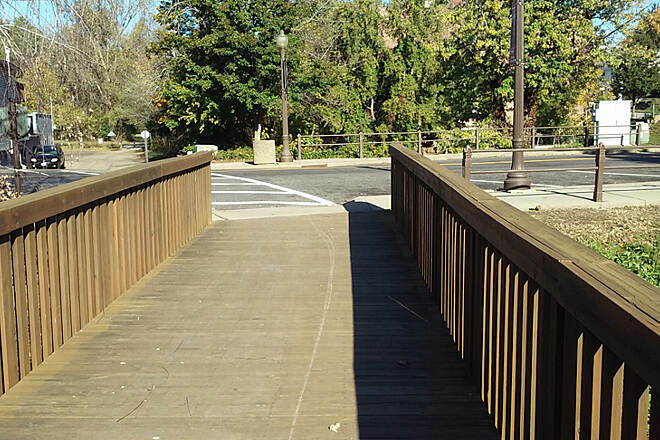 There is free public parking on the other side of the bridge. 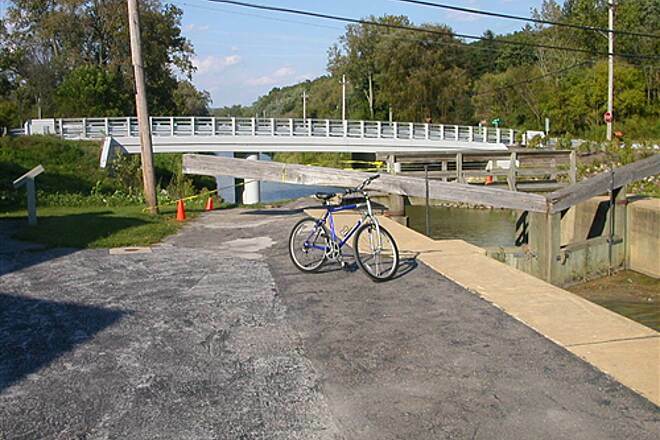 Much of the time the bike path traverses between the Ohio & Erie Canal and the Tuscawaras River so plan your exits. A short distance off the trail on Second Street NW is R D Bikes if you need help. This part of the trail is really beautiful. Mostly it is crushed stone, but there is one section newly paved. There is one big hill near Clinton, but otherwise it is an easy ride. We stopped at Cherry Street Ice Cream in Canal Fulton for the return trip. It is conveniently located next to the bike path. 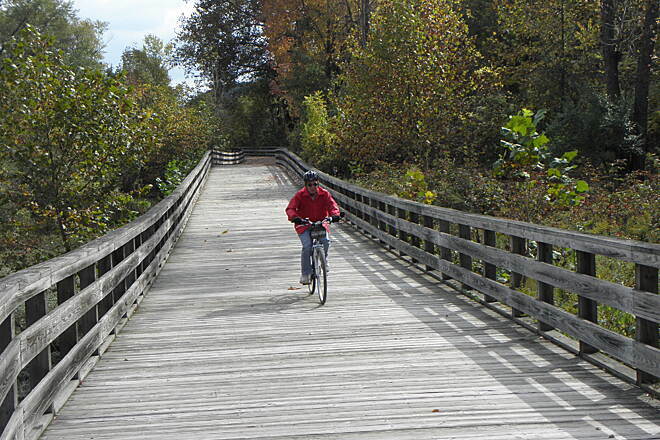 History, geography, wild life and "bike life" this trail has it all. It is the don't miss ride of Northeast Ohio. 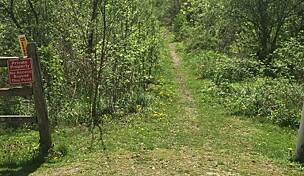 I recently was told that the way to access the path was to go to the Park in Zoar(a very small town) and access it there. 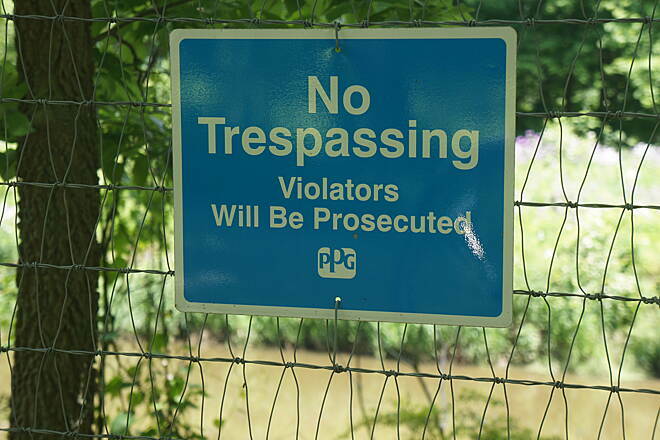 I found the park easily enough, but was unable to see any access to the path to Bolivar from the Zoar park. If anyone does know, could they please notify here. Thanks! I really rely on this guide and reviews for info. I have ridden the entire length (in segments) and each section has unique qualities. 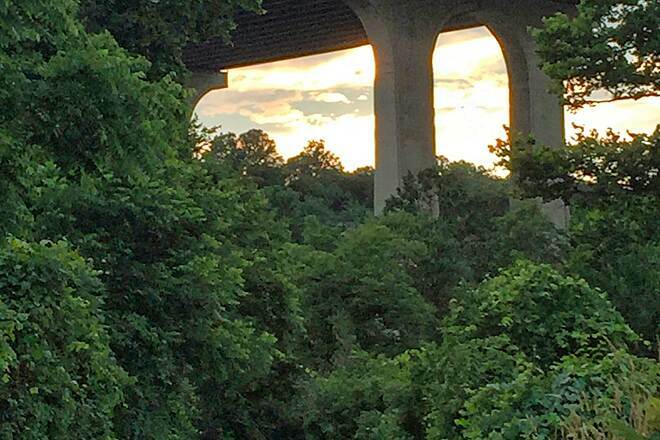 From Akron to Harvard Ave, it is mostly scenic, with some urban qualities around i480. But it is surprisingly scenic from 480 to Harvard. I would avoid Merriman Rd to alexander rd on weekends. Too many pedestrians, children and dogs. 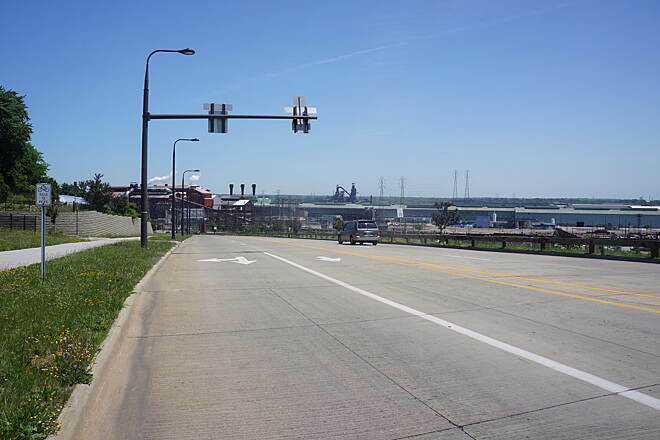 Getting through Downtown Akron has a pretty good hill to get over the Expressway and has a stretch that is on sidewalks, but it is safe as far as traffic is concerned. 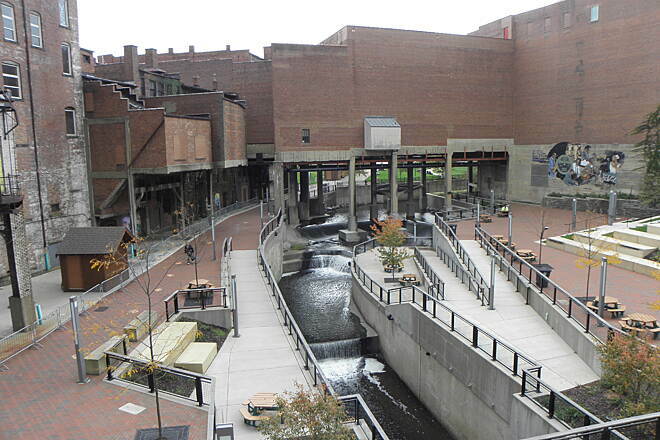 Akron and south to Summit Lake is a good trail, but urban... Factories and warehouses make up the "scenery". And a very cool bridge across the southern end of Summit Lake. From Barberton to Massillon is beautiful. My favorite stretch. 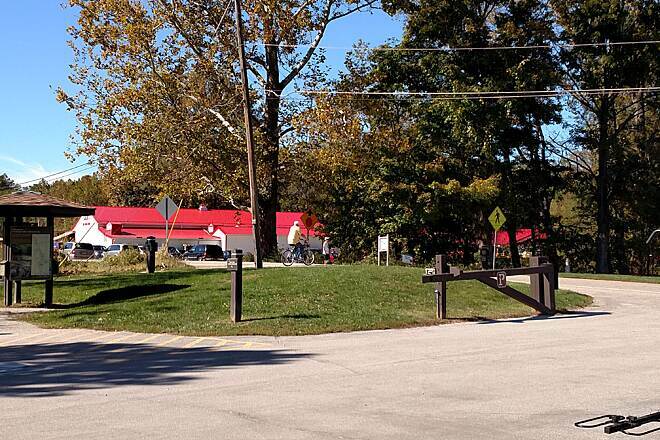 Theres a really nice bike shop north of Massillon for snacks, sandwiches and ICE CREAM. And Bike repairs if needed. Theres also nice shops in Canal Fulton and Clinton. 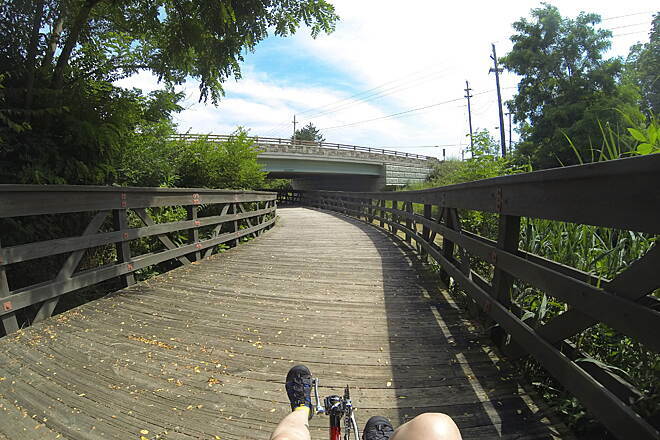 Getting through Massillon is a little dicey - city streets and a bridge with a narrow sidewalk on a busy street. But its a short, quick stretch to get back on the trail. 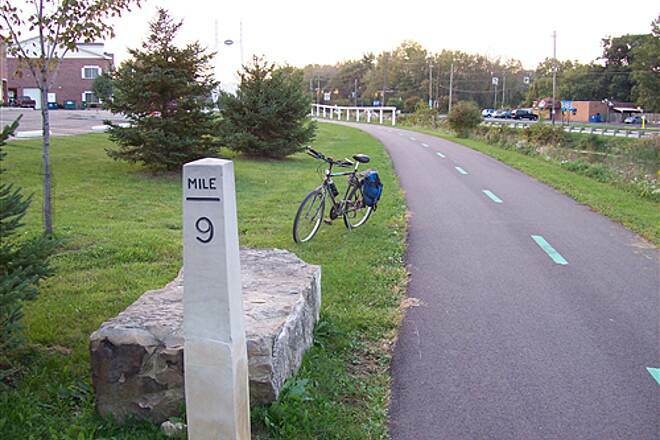 Theres a nice 8 mile trail that intersects the Towpath just south of Downtown Massilon that goes west to Dalton. A nice side trip. Good path, but not as scenic. 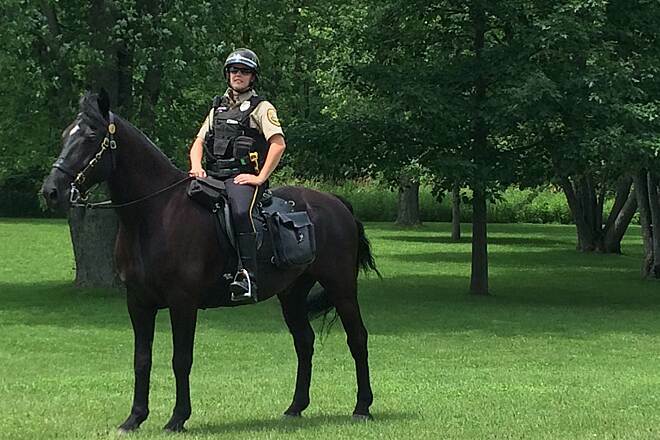 South of Massillon is once again very wooded and very scenic. Another favorite stretch. The last stretch south of Navarre needs a lot of work. Very bumpy, large rocky gravel. A lot of work o ride it on my skinny road tires. I hope they put down some crushed limestone to smooth it out. 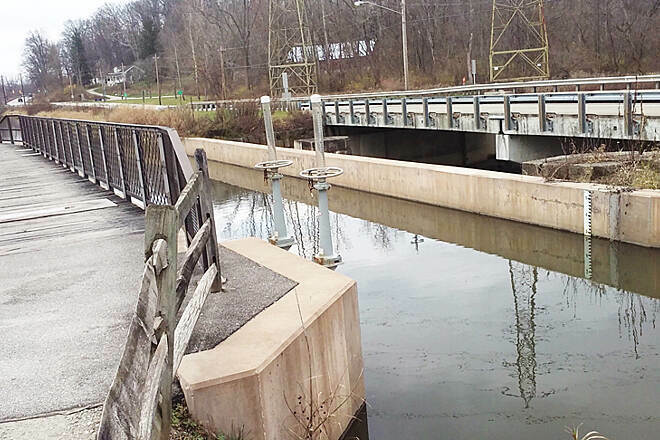 Work is being done to complete the link to Bolivar and then to Zoar. I plan to ride it this spring, even if i need to use some local highways. Theres a way across 77 by Bolivar according to the map. Guess ill have to find it. I have a hybid road bike, and am not a racer type. 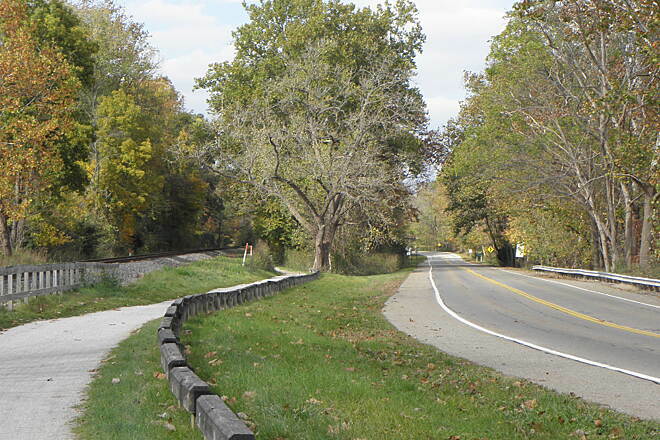 Except for the Bolivar stretch, its a great surface for my skinny tires and my 63 year old legs. 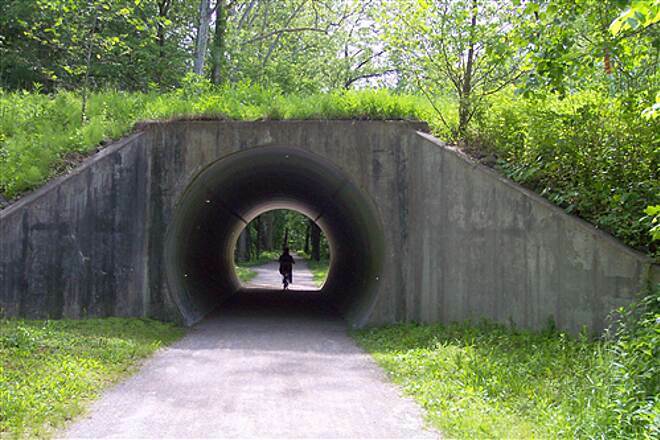 This is the trail that really began my love for long distance bicycling. 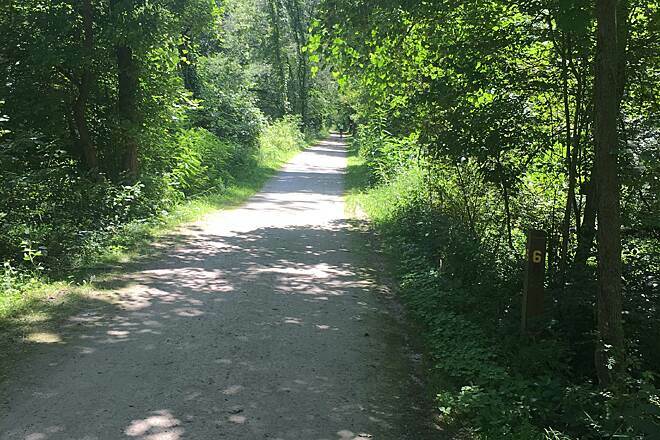 The entire trail is beautiful...I feel I like going through Clinton, the Cuyahoga Natl Forest, the beaver swamp, and Bolivar to Craig Pitman Park best. I forgot the Lock 29 area (see what I mean...)I recommend every dedicated cyclist try this one in sections. There is something to see in each section. You can't go wrong. The rangers are very helpful and friendly, and ride the train in autumn! 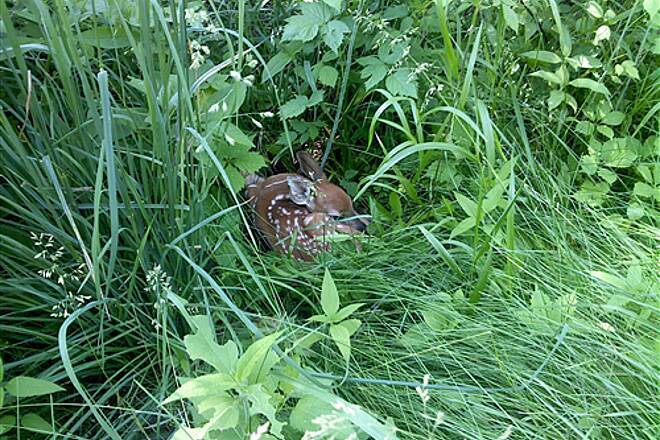 I have seen deer including twin fawns twice, herons, beavers, a multitude of songbirds, and fox. 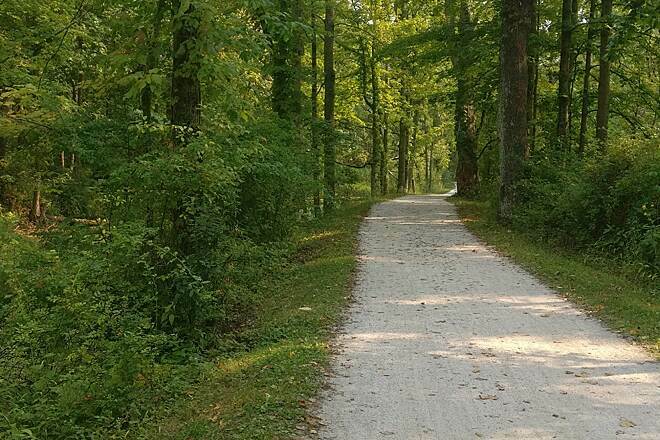 The only downside to this trail is that the ride from Navarre to Bolivar is rough and needs work in comparison to the remainder of the path, but I have no problem getting along with a hybrid. 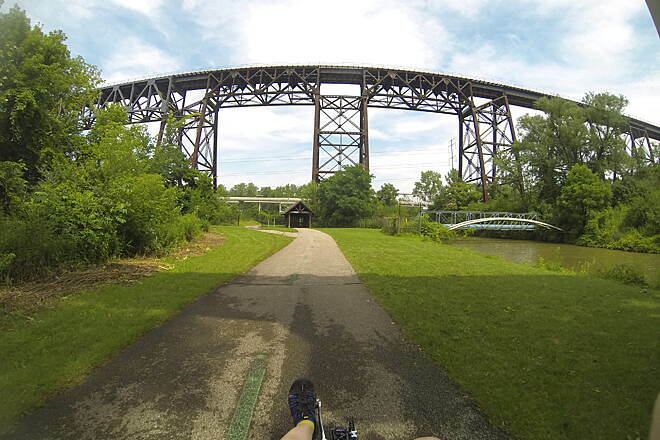 In 2013 I rode two sections of the trail from Canal Fulton to Akron. First day got as far as Barberton. Second day into downtown Akron. There the signs are good; be aware it is actually in town. And, a very steep hill going north which challenges one going south. 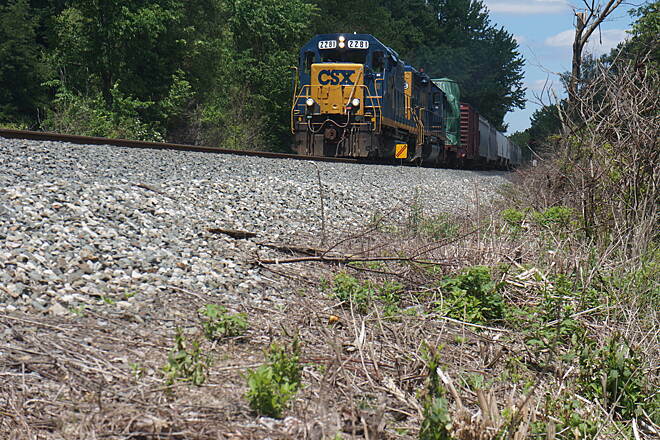 I've also been on the trail from the train station to the end, and from the park near I-77. I did not like that section--grass and dirt became the terrain. 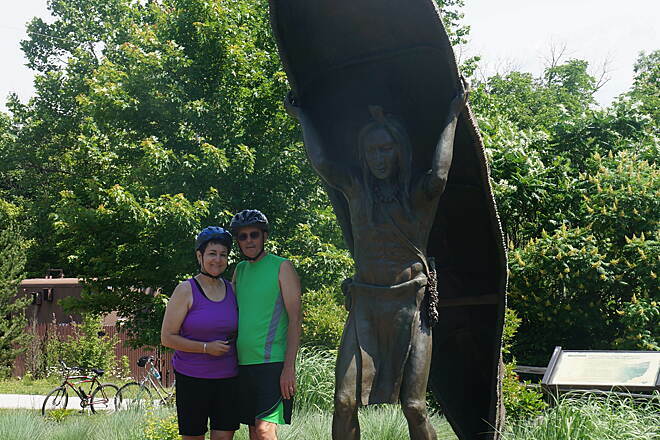 My biking buddy and I have ridden on the trail from the Steelyard Commons to Bolivar,not all at once but have taken some lenghty rides in the area of 60 -80 miles. What an incredible experience. The only part of the trail that was of any concern was the trip through the streets of Massillon. We now frequent varies portions of the on a weekly basis. 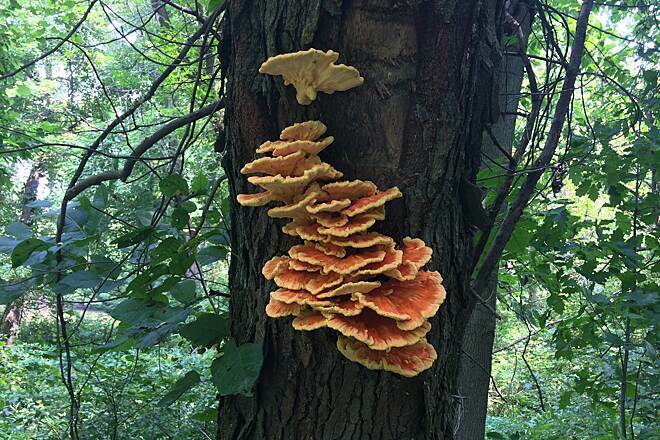 What a jewel we have in our own backyard! I am new at these trails, but found this one very pleasurable. I only walked from 40 corners about 2 miles. Most of that part is shaded, under trees and cool. The path is packed hard and easy to walk. A couple of bikers passed me and they seemed to be happy. I would recommend this path!! 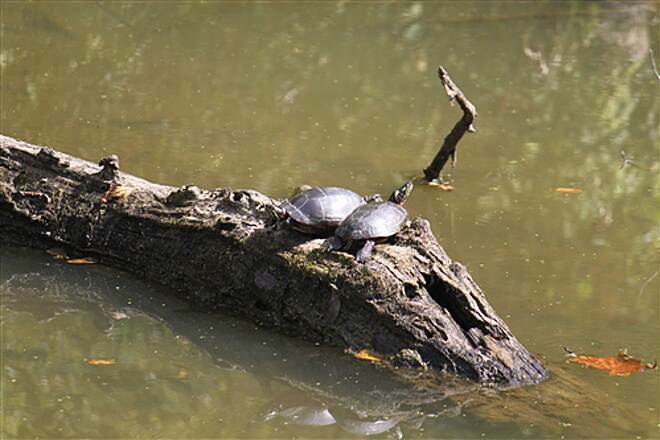 This is a great trail but it is supported by a number of different organizations in a somewhat confusing way and there are alternative sources of information to plan your trip. 1. The traillink web site that you are on with a map and reviews. 2. 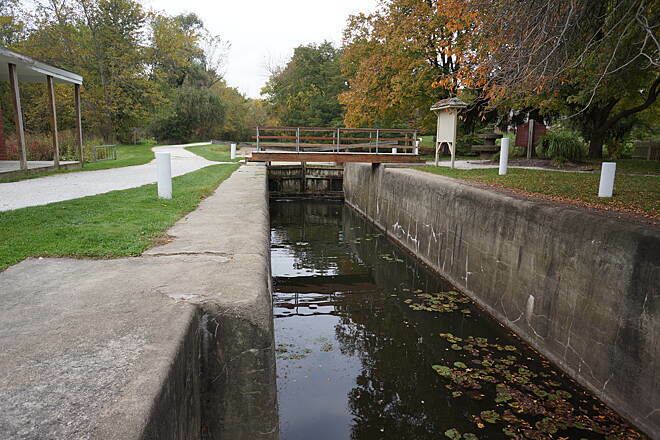 The Ohio & Erie Canalway organization with web site link from traillink site and maps and info However this is an overall PR organization that does not manage actual facilities. 3. 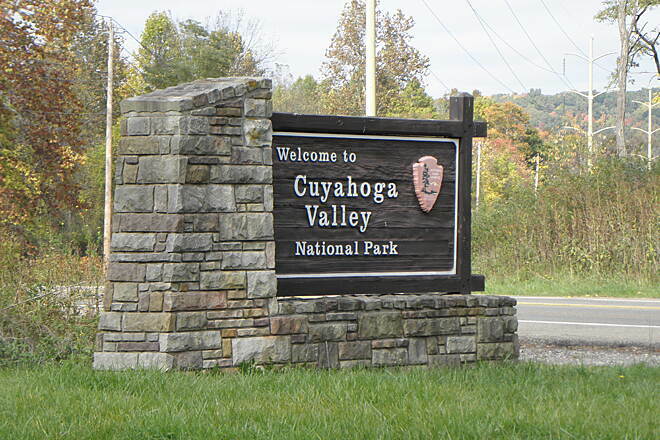 The National Park Service Cuyahoga Valley National Park. 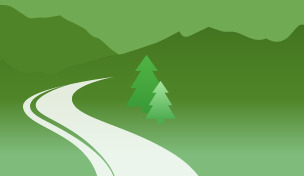 This is the main organization with the best trail map but you must connect via the central National Park Service site after you click on the link from traillink. 4. 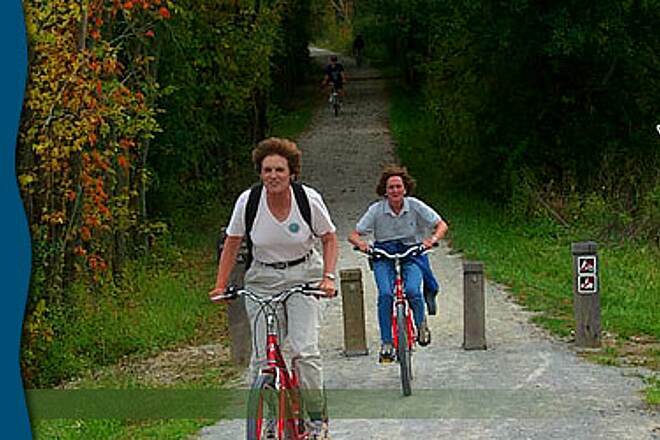 Ohio & Erie Canal Reservation (Park)with the Leonard Krieger Visitor Center manages the north end of the trail above the NPS managed section. 6. 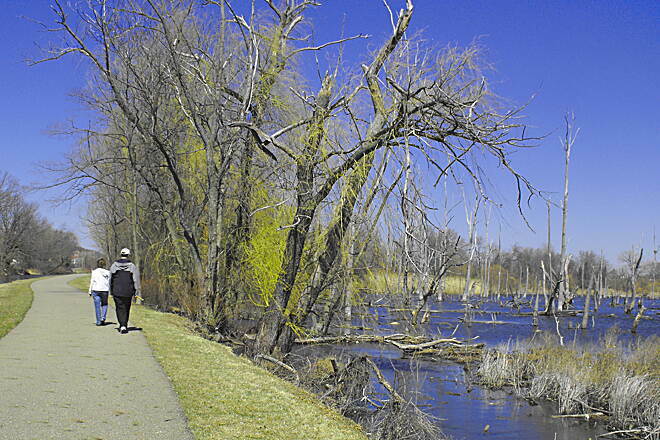 Up river or further south other muncipalities are responsible for the trail. 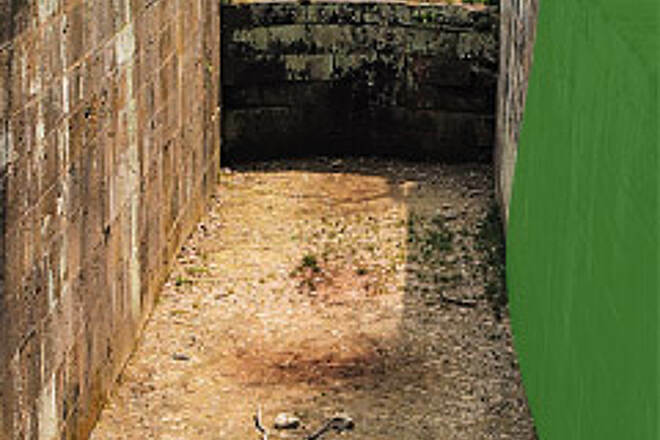 The Canalway site has links. 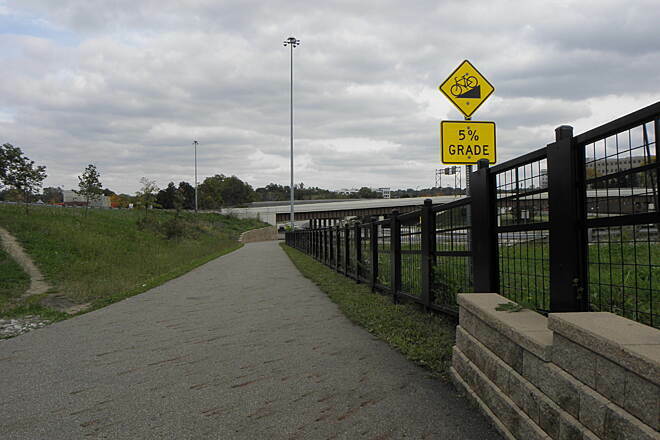 I am giving this trail a 5 star rating and while I do enjoy the Towpath and have ridden it from Harvard Road to Akron many times; I would like to point out issues with it. Don’t get me wrong, the path is well kept and the scenery is beautiful. The problem is the crowds on the weekends. Now I’m not saying the path is overcrowded, but the people on the path do not seem to understand basic “road” rules or even basic courtesy for sharing the path, passing, or when trying to pass; especially when close to Rockside Rd, Rt 82, and Peninsula entry points (most crowded areas). In addition, I see a lot of people on the path riding, walking, and running with headphones on – this is just dangerous for everyone. With that said, I still enjoy this trail and adjust my visits to more “friendly” times of the day or days during the week. Dinner time or later on the weekends works nicely. Make sure you have a headlight and a taillight, as it gets dark on the trail! During the week, earlier in the day or after work, is nice too. It really is a great trail. Again, the scenery is beautiful and full of history, great wildlife, and the crushed limestone path is nice though can be very dusty during dry seasons and a bit sloppy right after a good rain. I do see a lot of cyclists on road bikes; however, I prefer not to ride mine on this trial and opt to bring my hybrid with its 700x45 tires. 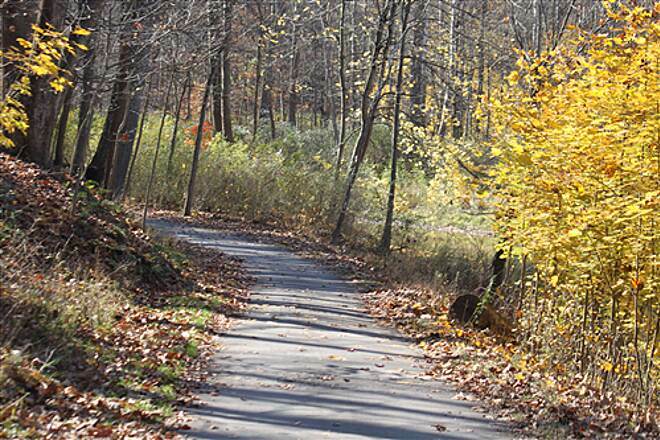 If you go during the day on a nice Saturday or Sunday, just be cautious and alert as there are many places other users can pop out of (benches, side trails, etc…) and really watch as you come around bends as you could come across groups spread across the entire trail. I use this trail several times per week. 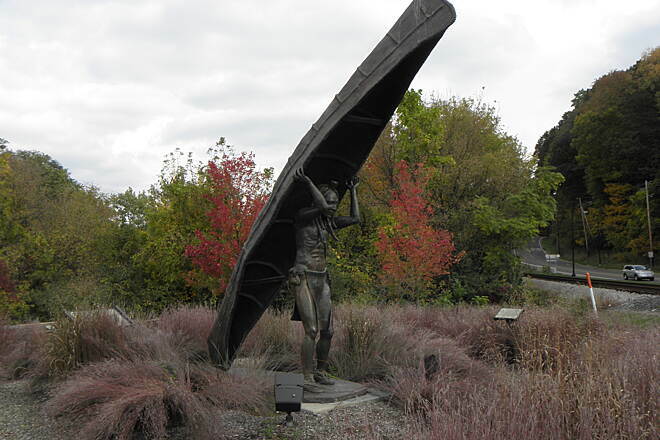 It runs parallel to the old Ohio and Erie Canal and the Cuyahoga River meanders nearby. 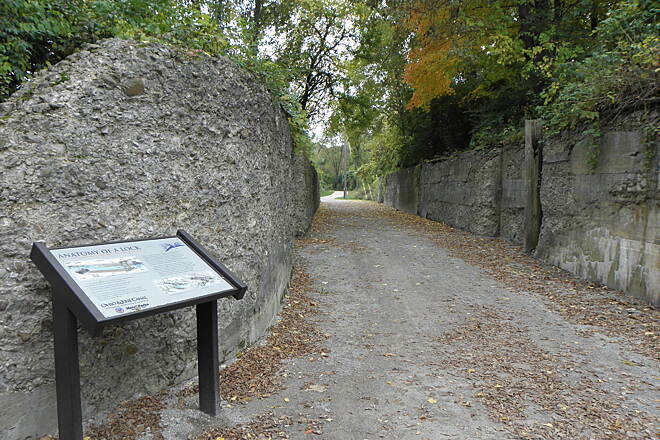 Most of the towpath is crushed limestone, a softer surface which is nice for walkers and joggers. It has the potential to be a little sloppy the day after it rains. 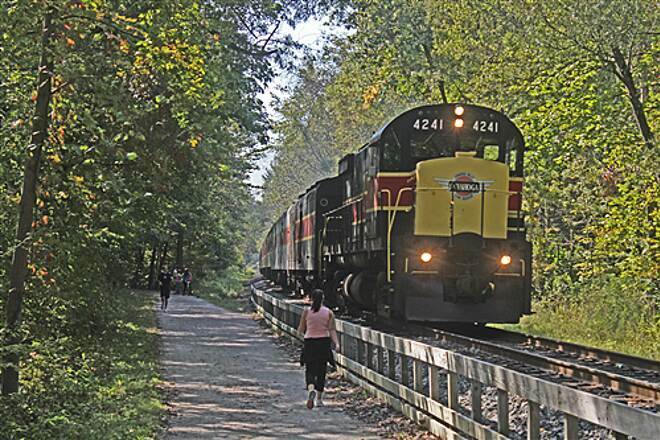 The best part about the Towpath, though, is the Cuyahoga Valley Scenic Railroad has a program called "Bike Aboard". You can hop aboard the train at one of a half dozen train stops, and for $3, they will load up your bike onto a train car and you ride inside a comfortable coach to your desired stop. When you get off the train, the bike handlers will pull your bike off for you, and then you can ride back to your car via the towpath trail. Generally, this trail is in good shape. It's relatively flat, packed nicely, not crowded. Its scenic and shaded for the most part. It could be a bit wider to accomodate side by side riding. It could use a bit more frequent maintenance on brush growing along the borders. 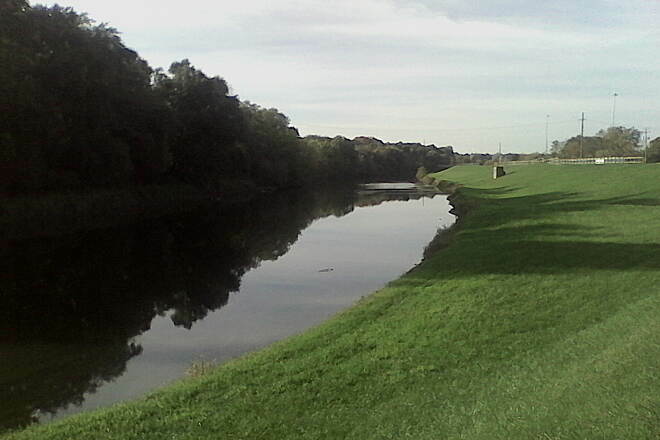 Off the trail itself, which is a raised surface, is the canal on one side, and the Tuscarawas River on the other. You need to pay attention! Not quite as scenic as the sections north of Massilon. Also, the trail surface is rougher, especially south of Navarre. South of Navarre, narrow tires are not a good idea. We road 35mm and 1.5 inch tires and were OK, though the ride was a bit rough. There is one bad spot, where gravel and mud has washed down on to the trail. There are warning signs, so, take them seriously, and, if you don't have really fat tires, be prepared to dismount for a few yards. The section in Massilon is not great, but is passable, if you know in advance roughly what the route is. Study the map, and then keep your eye on the signs and painted road markings. 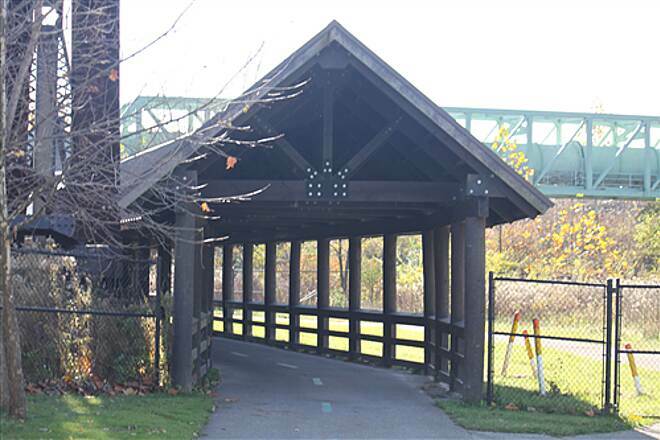 The trail crosses the river twice, on ordinary sidewalks that are part of road bridges. I don't think the section in Massilon is good for younger children, and the sidewalks over the bridges might be tough for trailers and trikes. On the plus side, the trail heads are well constructed and have at least a portapottie at each. 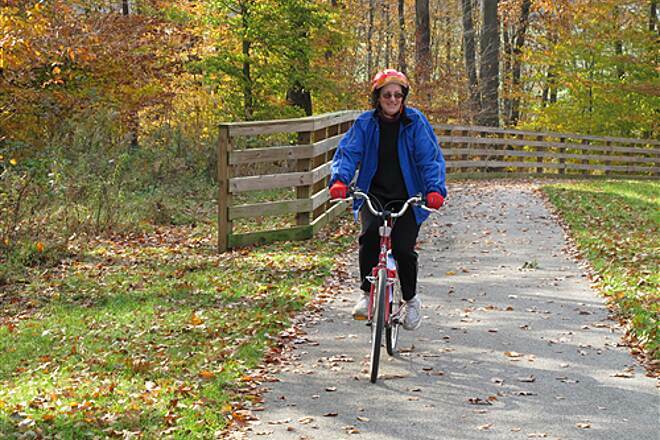 Stark County Parks appear to be committed to maintaining and improving the trail. It would really be a big improvement for Massilon to work on an improved routing through town. What a trail and what a great day we had on it. 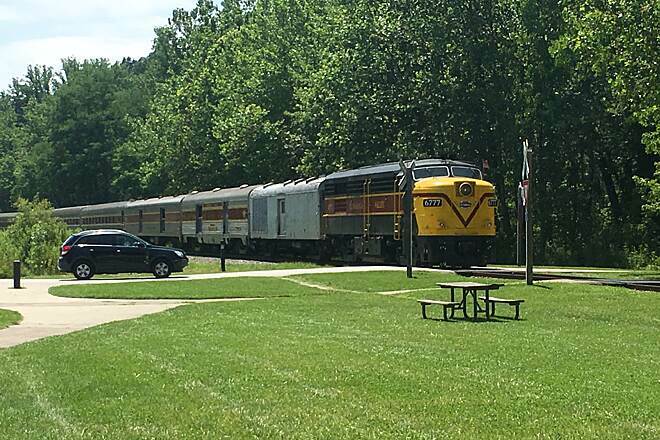 My wife and I started our adventure in Cleveland at the Rockside Station of the Cuyahoga Valley Scenic Railroad and took the train to the Akron Northside Station. Ready for this, we spend a total of $4.00 on the train ride. The price included the transport of our 2 bikes and our passage on the train. Unbelievable!!! Our plan was to bike directly to the Peninsula Depot for lunch but we ran into Szalay’s Farm Market just before we got to the depot. We got some strawberries and a couple delicious plumbs and then onto the Peninsula Depot for lunch. We had a great lunch at the Winking Lizard. We both had the Chicken Rubin Sandwich and would highly recommend it. Our next stop was at the Canal Visitor Center where we talked to a really nice and knowledgeable Ranger about the towpath. After a walkthrough of the center we finished the last 1.7 miles back to the Rockside Station. And the best part of the day is that it is mostly downhill from Akron to Cleveland. 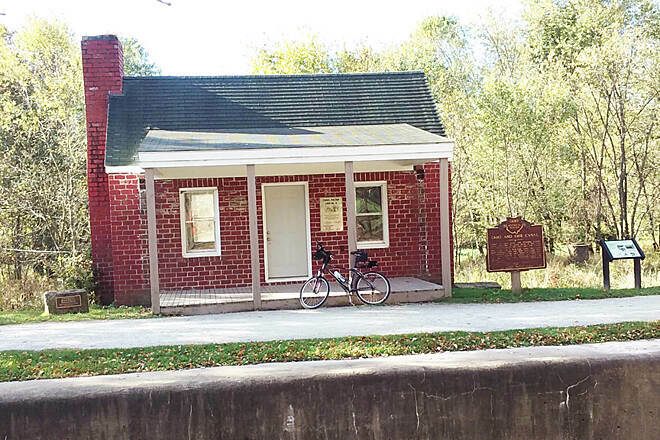 At the end of October, we rode from the Nesmith Lake trailhead, on the south side of Akron, to the Stark County line and back. This trail is very nice, with varied scenery. 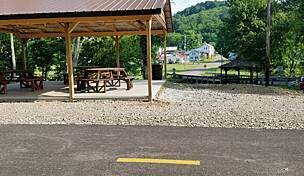 The Nesmith Lake trailhead is easy to find and has a spacious and well paved parking lot. 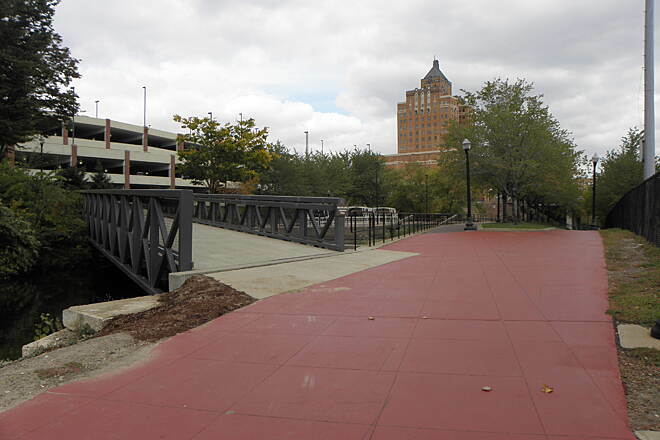 The trail surface is partly crushed stone and partly asphalt paving. It is in very good to excellent condition. There are a couple of mild hills near Barberton, nothing to be worried about. 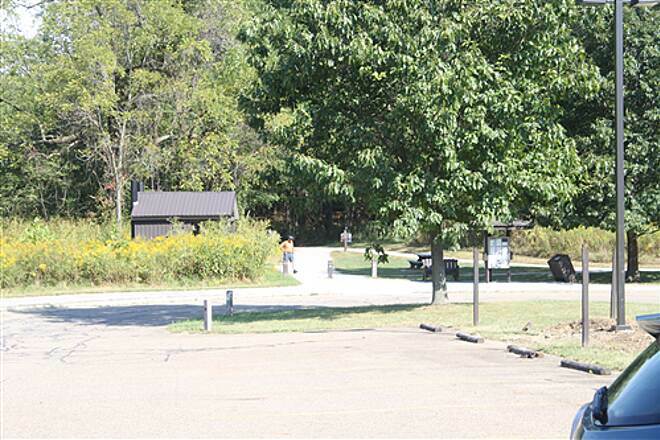 Public restrooms are available at several of the trailheads, though not at Nesmith Lake. 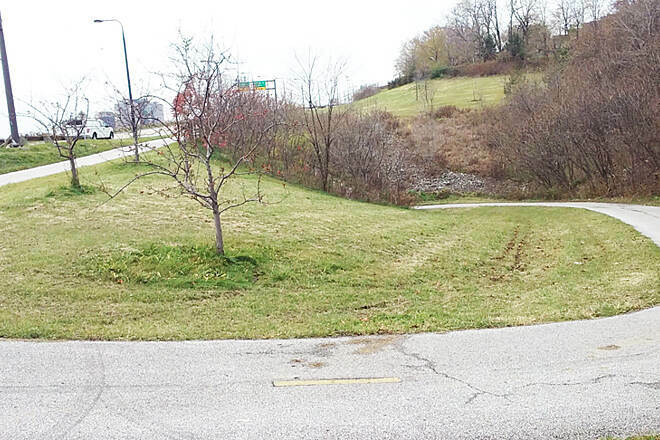 There is a gap in the trail between Snyder Avenue and Eastern road. (Some maps show it farther, from Snyder to Vanderhoof Road, but we easily found the trail at Eastern.) The on road section between Snyder and Eastern is not great, but not terrible either. Adults and older children shouldn't have any problem. We saw signs of trail construction south of Snyder Ave. 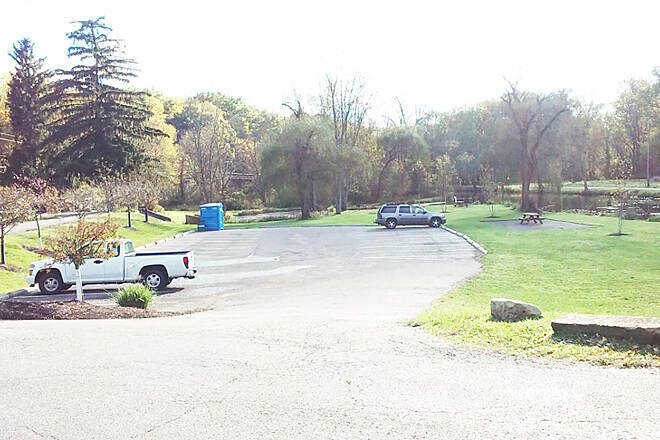 The Summit County Parks web site says construction to close this gap is under way. and could be complete as soon as the end of 2011. I rate the trail at 4 stars, but when the gap is completed, it will easily earn 5. Highly recommended. I forgot to do the star rating when I submitted my review. I give it 5 bright gold stars! This is a great trail. In October 2011, we caught the Cuyahoga Valley Scenic Railroad's first Saturday morning departure at Rockside Road Station. Bikes are welcome, and handled smoothly, and the fare for bikers is not just reasonable, but almost ridiculously low! We rode the train all the way to Akron. 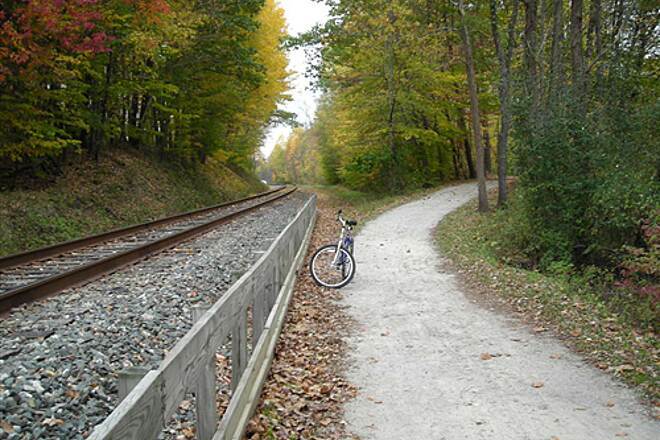 From the train station in Akron to the trail is just a very few blocks of on road riding. Traffic in Akron, early Saturday morning, is pretty sparse. 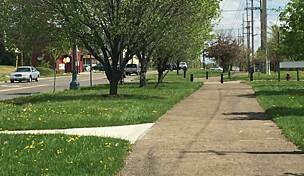 About 5 miles north of Akron, the trail runs through a section of suburban strip mall, where we found a small cafe and had quite well made omelets for lunch. The ride from Akron back to Rockside Station is 27 miles. It is a very nice ride. The trail surface is mostly packed crushed stone. A few sections are asphalt paved. It is in very good condition. We only encountered a couple of brief, mildly muddy sections. Generally it is a smooth ride and you can ignore the surface condition. We ride 700x35 and 26x1.5 tires and had no surface related difficulties. The trail runs through varied scenery. 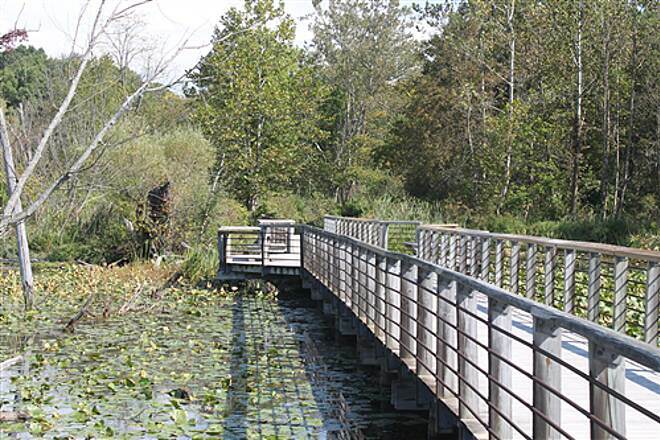 A boardwalk runs over several hundred yards of scenic wetland. 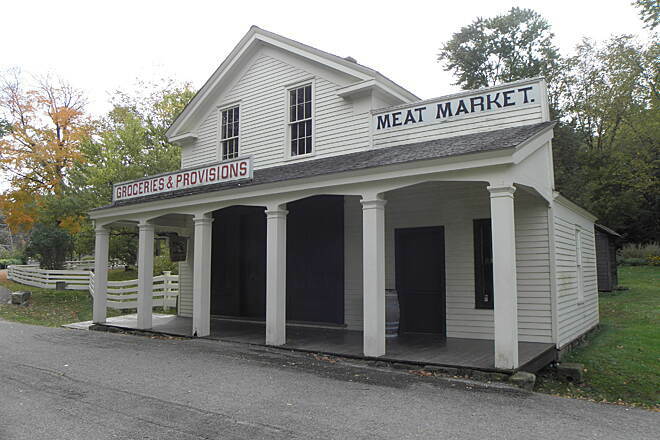 Szalay's farm market was in full swing, and makes an entertaining break. 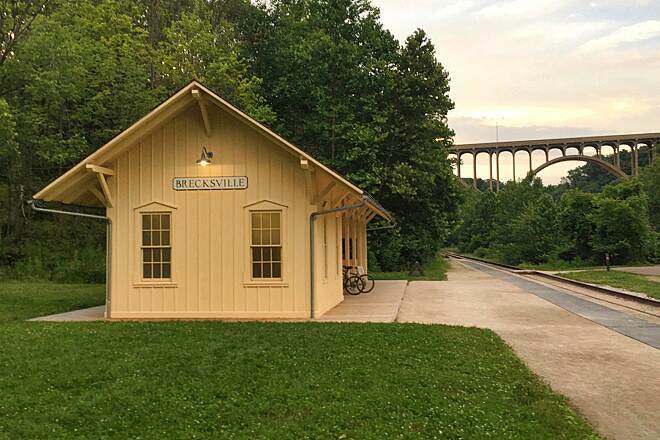 At the north end, a short on road ride connects the trailhead to the CVSRR Rockside Road Station. Print maps of both ends of the trail, because the on road routes are not marked, and do have a couple of turns, though they are also neither long nor difficult. If you find that you can't do the whole 27 miles, just make sure you have the CVSRR schedule. If you stand, with your bike, on a station platform and wave your hands over your head as the engine approaches, the train will stop and you can finish your trip the lazy way for just a few bucks more. This is a great ride and I highly recommend it. Invite your friends. Make it a Boy or Girl Scout or Church group outing. You can't go wrong with this one. 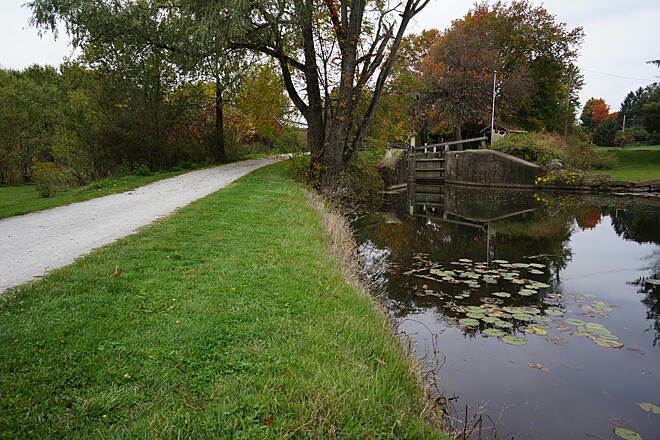 The Ohio & Erie Canal--Cuyahoga Valley NRA or Towpath as we refer to it is one of my favorite places to ride bicycle in Northeast Ohio. 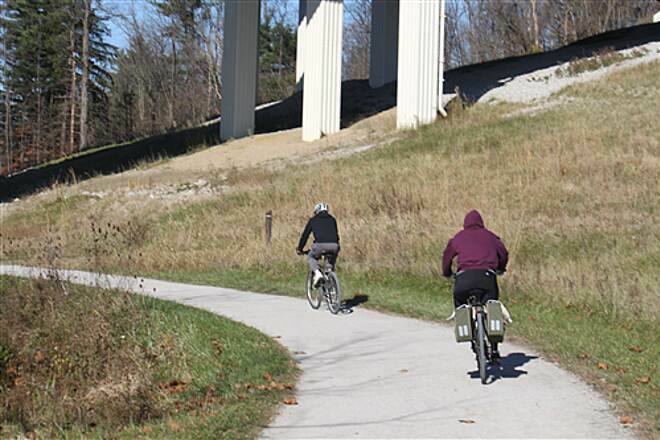 It provides a moderate ride with a lot of exposure to wildlife, different biomes and freedom from fighting automobile traffic. 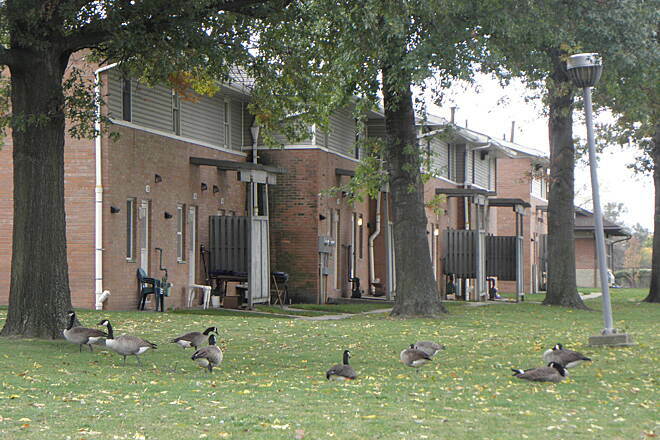 I provides a combination of history, environment, social, and cultural settings. The trail is hard packed and in bad weather not a pleasant place to ride. Unless you like mud of course and ride a mountain bicycle. 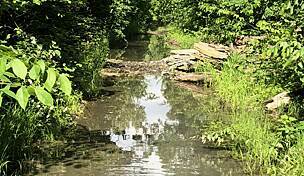 I ride a road bicycle and find it very easy to ride the Towpath unless it is muddy. 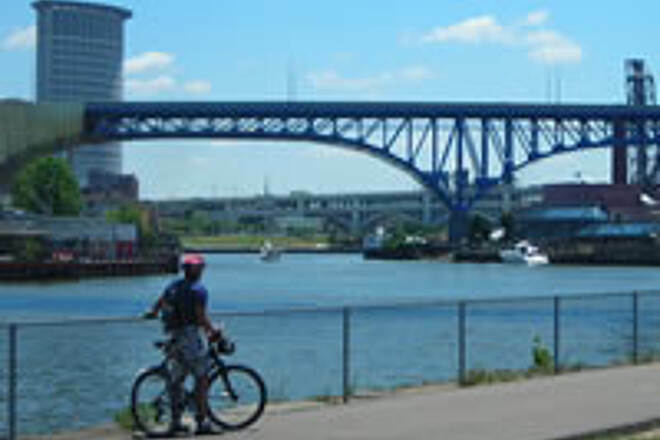 We usually start our ride in Peninsula and ride to either Bath Road, about a 15 mile round trip ride, or to Akron, about a 30 mile round trip ride. 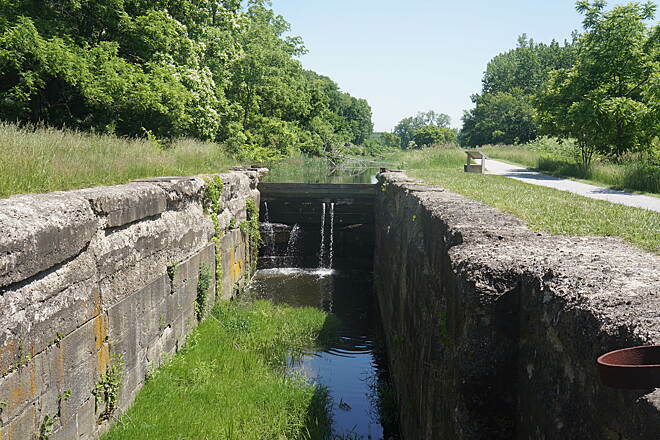 These routes take us along the historic Erie Canal where the remnants of locks are marked and described. 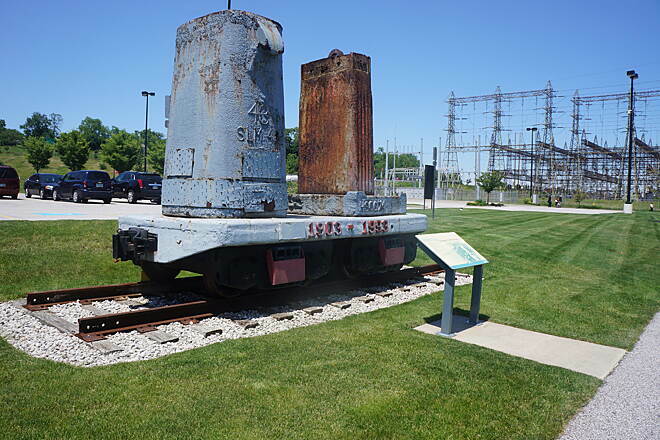 The routes also follow along the route of an operating historical railroad and the Cuyahoga River. 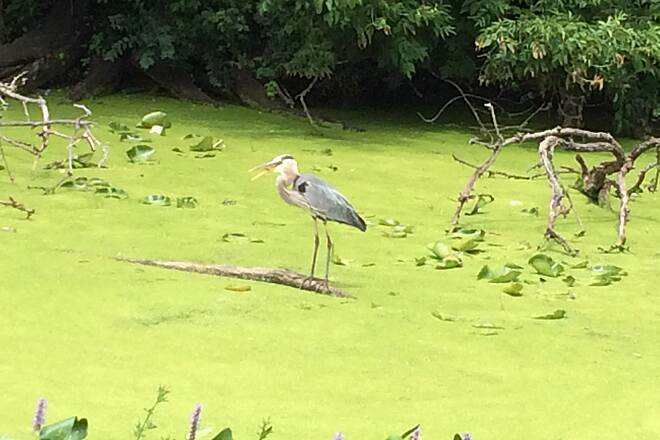 At Bath Road a short detour to the east of the Towpath are hundreds of heron nests can be viewed from the road. 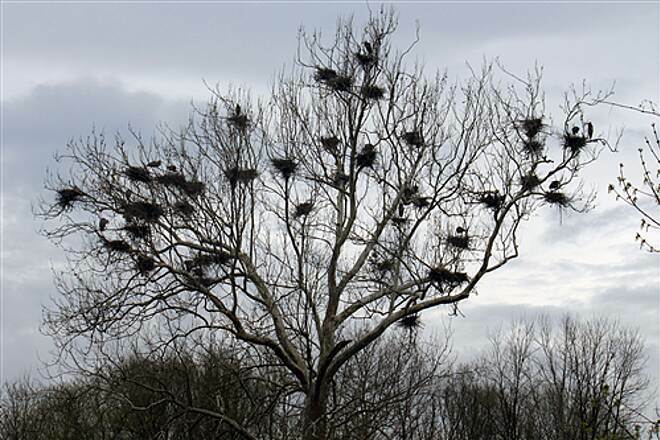 At some times of the year these nests have a great deal of activity with the huge herons flying in and out while they are building nests, courting, feeding their young and trying to keep cool during the summer heat. This is a must see if you have not been there. Along the route there are also farmers markets, covered bridge (short detour off the trail), farmland (corn) and friendly people. Sometimes it gets very busy but if you like being in a popular place with lots of outdoor enthusiasts even this time is fun. I usually take to the road instead of the Towpath when it gets congested. We like to start in Peninsula because it has a bicycle shop, two sports pubs, art shops, and a train station to board the historical railroad. This railroad also offers an option to you if you want to ride part of the train and return to your starting point on the train. However, there are many starting points where you may park your car. I rate it a 5 star. Check it out. 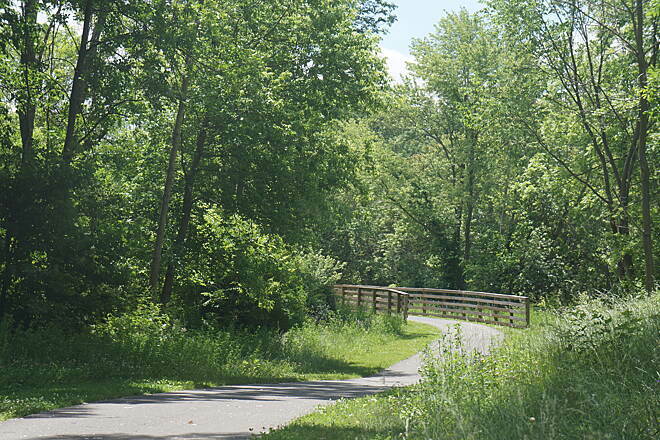 I ride sections of this trail around the Akron area frequently. 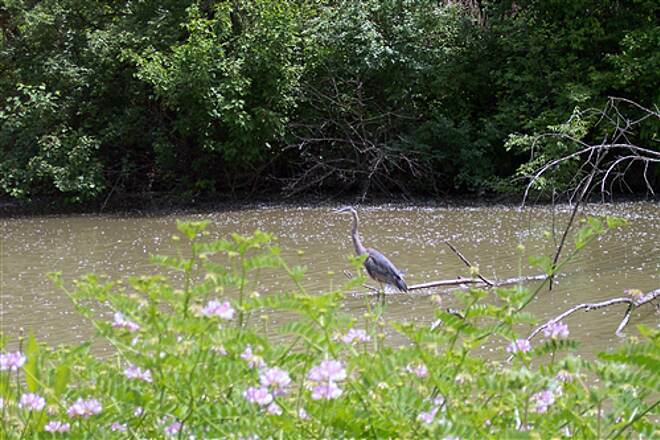 The Towpath is managed by several jurisdictions: the National Park Service, Summit Parks and the City of Akron. Most of the web-based maps are out of date. Here’s the trail status as I know it as of April 6, 2010. 1. 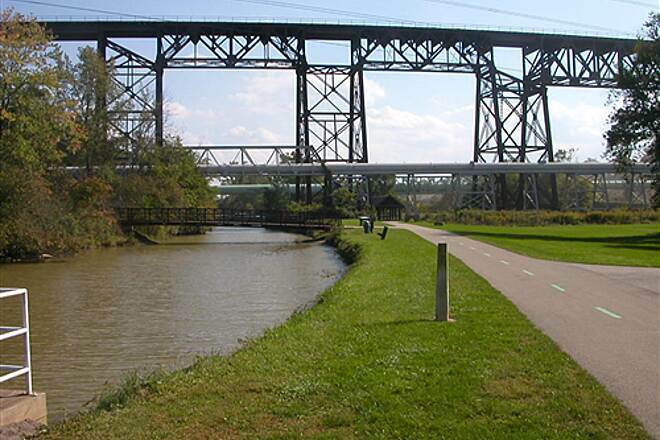 South of Akron, the Towpath starts at Snyder Avenue in southern Barberton. 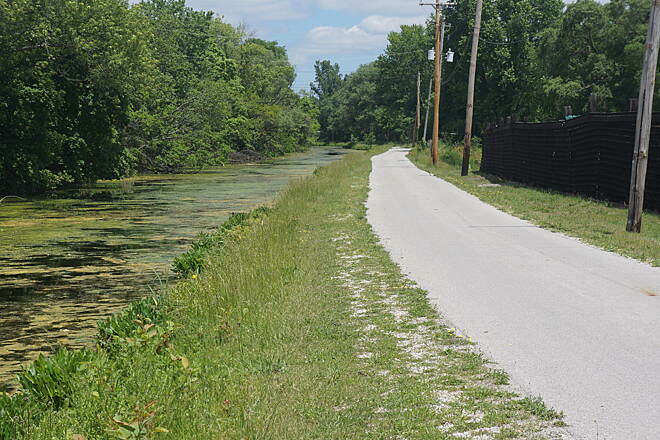 The section just to the south, between Center Road and Snyder Avenue has not been built. 2. 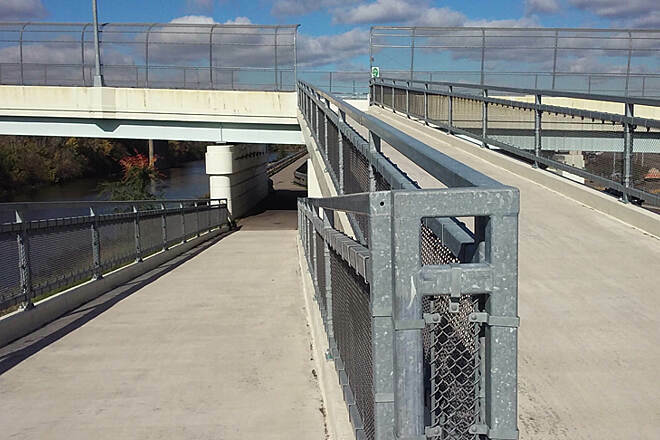 You can cycle north from Snyder into the southern edge of Downtown Akron via a dedicated trail with minimal road crossings. 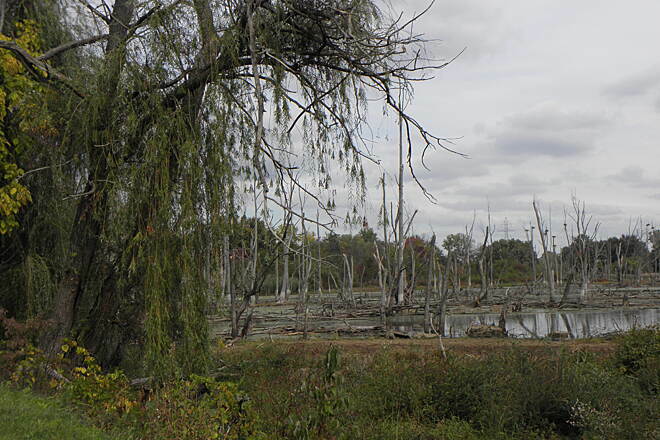 Summit Parks shows the section between Manchester Road and Summit Lake as being incomplete. It is indeed complete as of last summer and is in excellent condition. 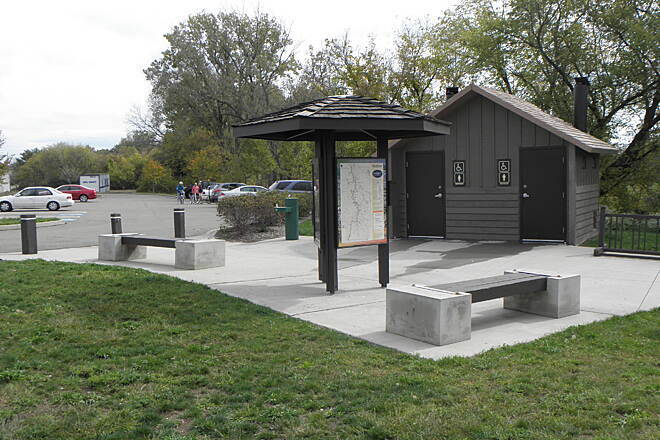 There is a nice new trailhead with restrooms at Wilbeth Road. 3. The dedicated trail ends at Bartges Street heading north. Follow the signs 1 block east on Bartges Street and make a left into the former BF Goodrich factory parking lot, now known as Canal Place. 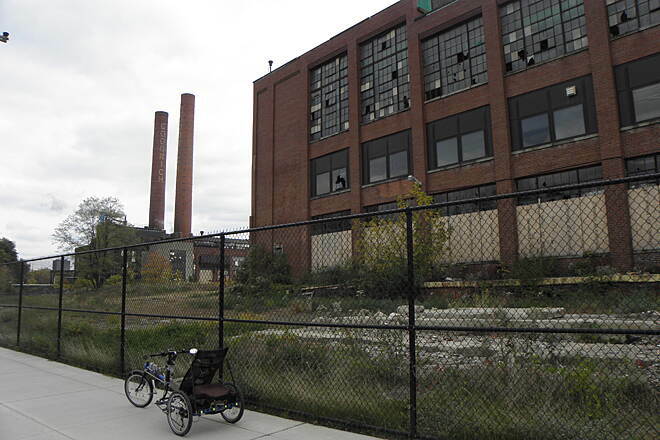 You cycle through the passageway adjacent to the tall factory smokestacks. The trail picks up again behind the Spaghetti Warehouse. It’s probably only 1,000 feet of parking lot to navigate. 4. 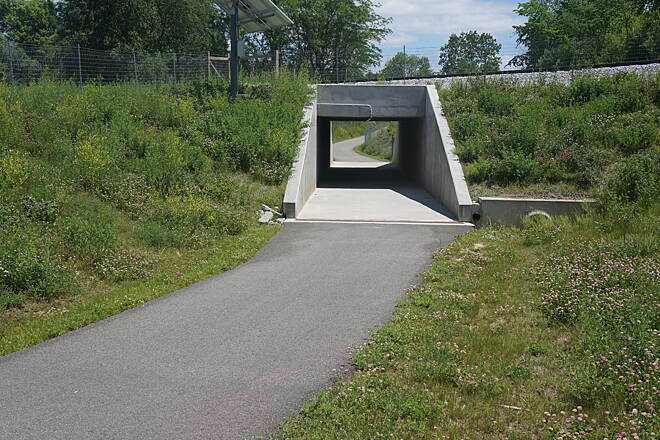 The trail is asphalt paved as it passes north past Canal Park and Lock 2. 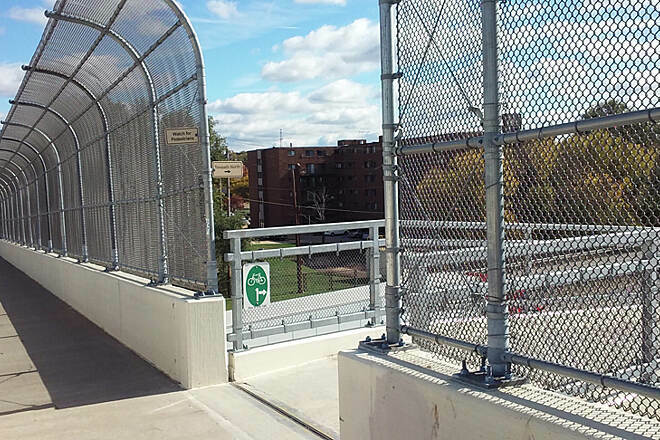 The dedicated trail ends at State Street behind the stadium. 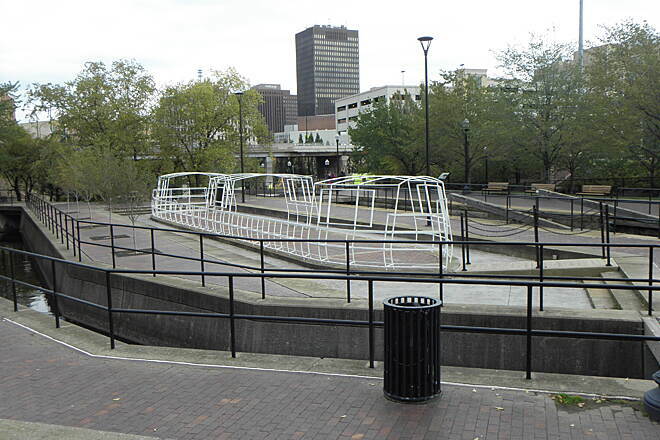 There is a project underway to extend this section to Lock 3 Park across the street. 5. Today, you must ride city streets for about 4 blocks north. Follow Water Street across State Street from the current trail end for a block. It ends at Bowery Street. Continue north on Bowery for 2 blocks to Quaker Street. 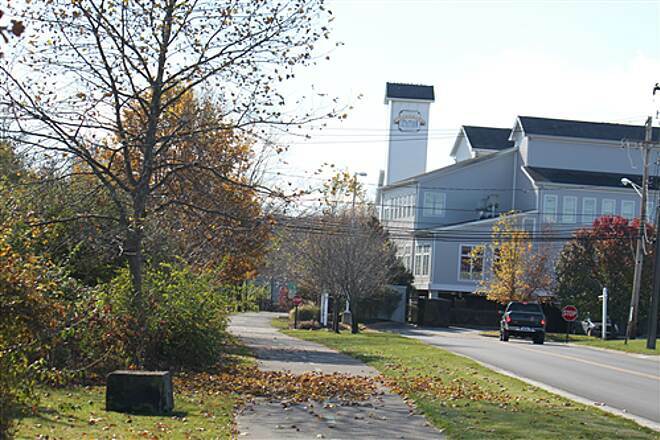 Turn left onto Quaker Street and follow it to Ash Street behind Cascade Plaza. 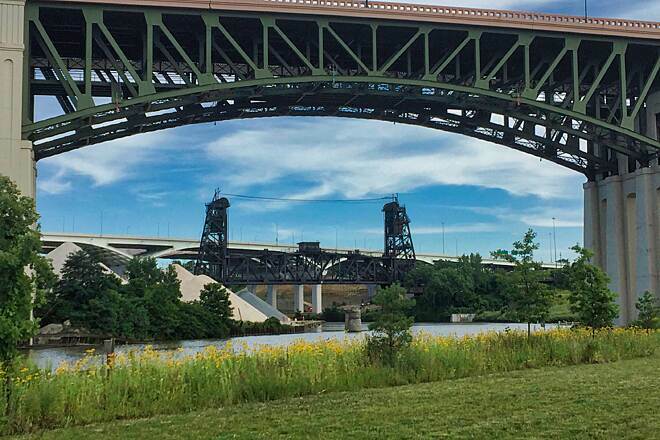 The trail resumes with a bridge over the Innerbelt. 6. 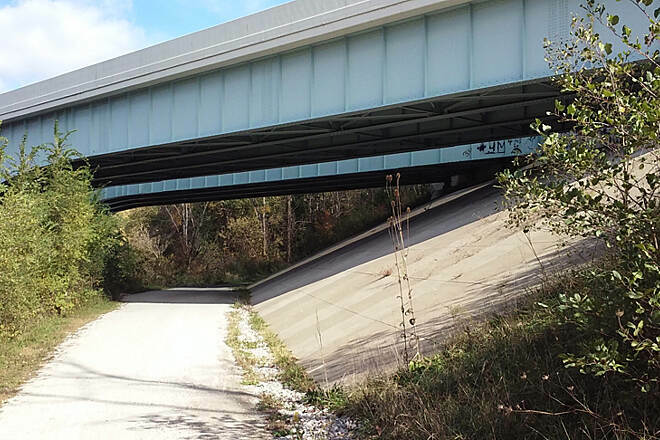 From the Innerbelt bridge, you can cycle the remainder of the trail north through Summit County with few road crossings. I hope this helps people navigating through Akron. I understand that grant money has been received or construction projects are underway to fill in these last three gaps in the trail. 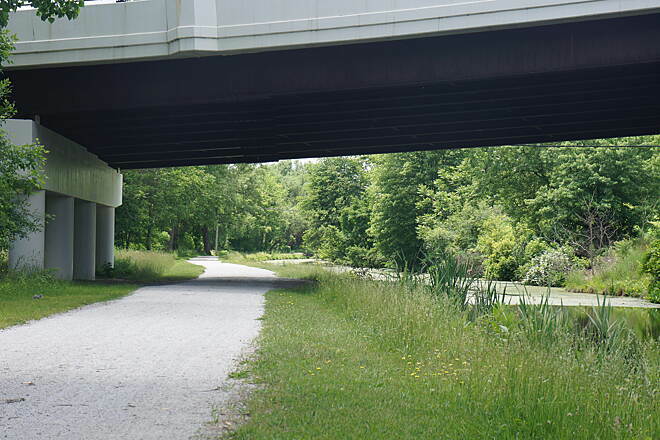 The Ohio & Erie Canal Towpath extends north to Cleveland from Rockside Rd. 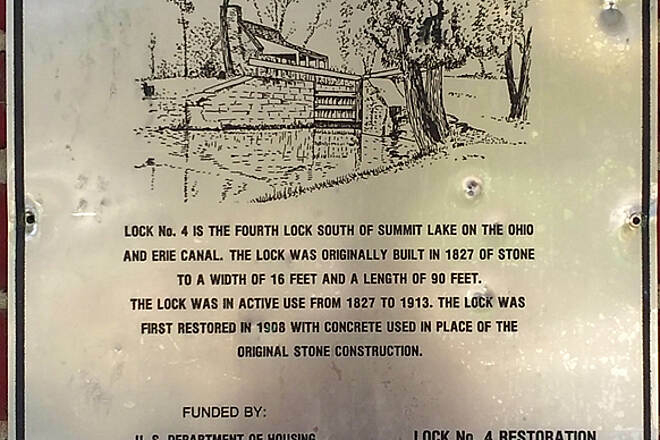 in Independence and switches from crushed stone at that point to a paved trail where the trail becomes part of the Cleveland Metroparks system. 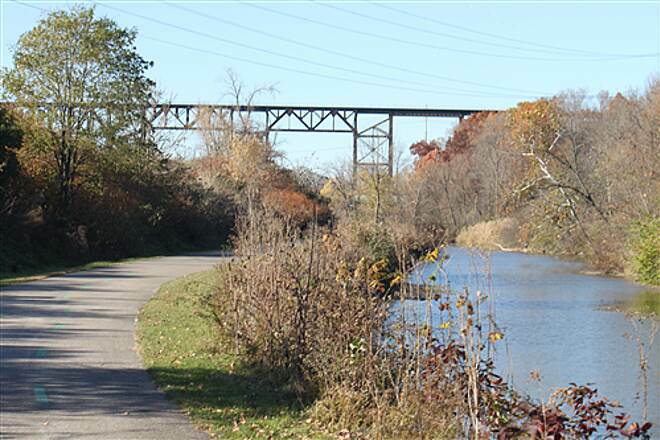 There is some surprising scenery on this 6 mile extension which winds through a reclaimed industrial area along the Cuyahoga River and includes 2 nice bridges over busy city streets, waterways, birds, fishing, etc. 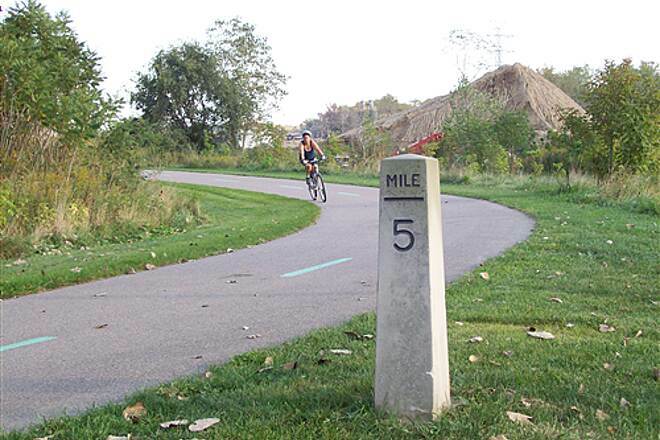 The trail ends near mile marker 5 which corresponds to the same milestones set on the Towpath. 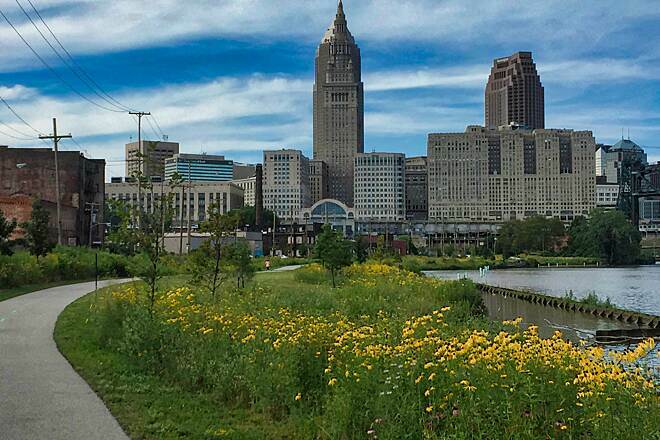 You can venture west then north beyond the trail head parking lot for lunch or shopping at Steelyard Commons and for the very adventurous, you can ride through Tremont and/or Ohio City and link up with the Cleveland Lakefront Shoreway Bikeway. 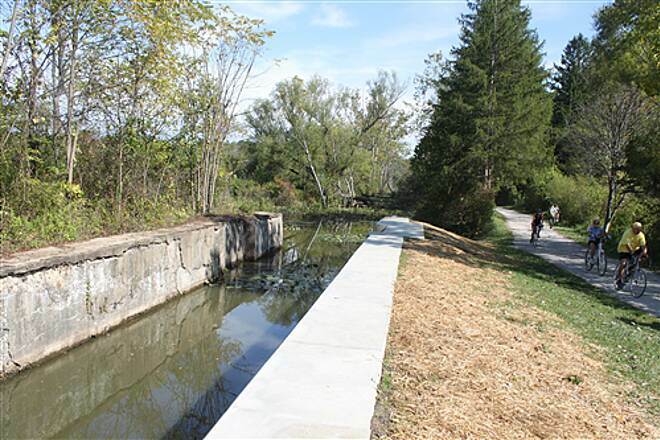 The Towpath Trail is open from Harvard Rd. in Cleveland to just south of Cedar St. in Akron. probably about 30 miles. 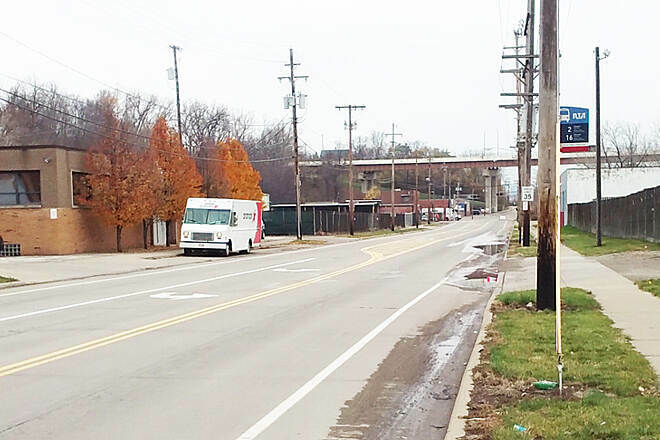 In Akron there is a gap from Spaggetti Warehouse parking lot south of Cedar St. to Bartges St. (about 3-4 blocks). 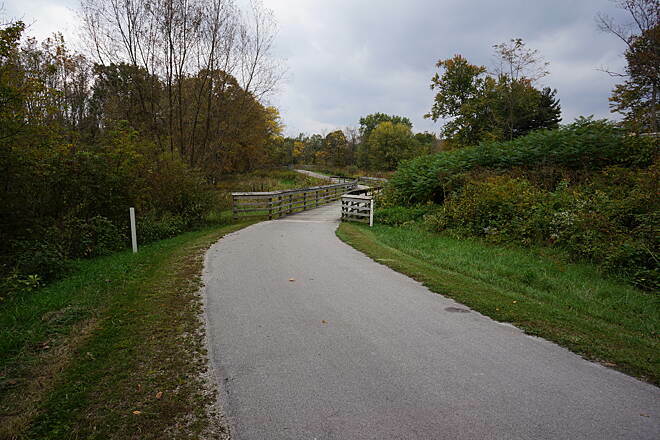 (It is possible to ride through parking lots to reach Bartges St.) From Bartges St. south to Summit Lake Park is an older section of trail (sidewalks along the canal) and somewhat rough asphalt. 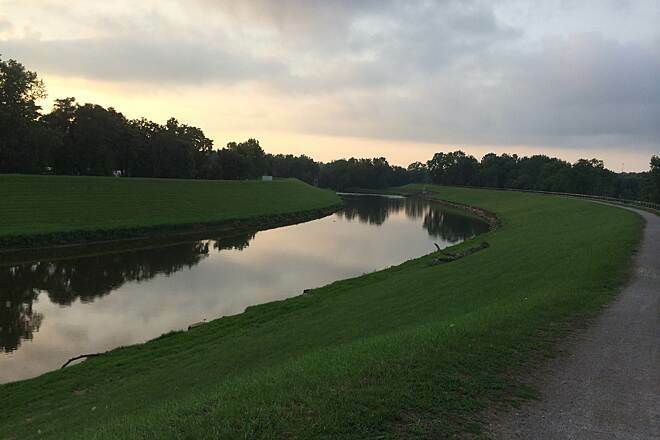 From Summit Lake Park south is a brand new section including a "floating towpath" thru part of Summit Lake. It looks like a "boardwalk" but in fact has no pilings and instead is on floating plastic barrels. You would not know it is floating because it is just as solid as if it were driven into the ground. The new section ends at Wilbeth Ave. From Wilbeth Ave south to Waterloo the trail is under construction and should be open by the fall of 2009. The bridge is completed, the base surface is down it should not be too long. 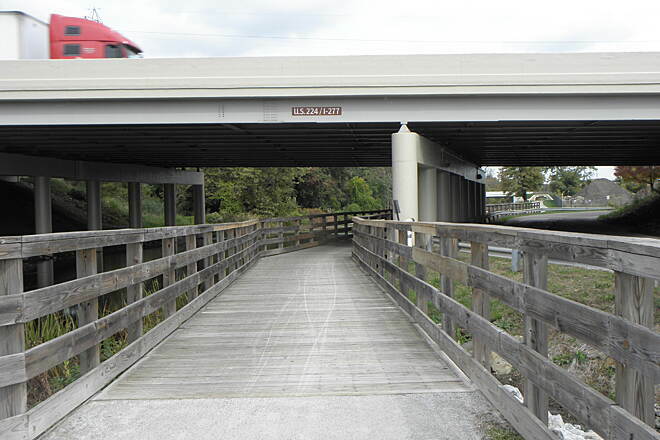 From Waterloo south thru Barberton to Snyder Ave. at the south edge of Barberton the trail is open. The trailhead at Snyder Rd. is called Wolf Creek Trailhead. There is a 2 mile gap from there to the junction of Van Burean Rd. and Eastern Rd. Clearing has been started and I was told the it should be open by sometime in the of summer 2010. From the Eastern Rd. 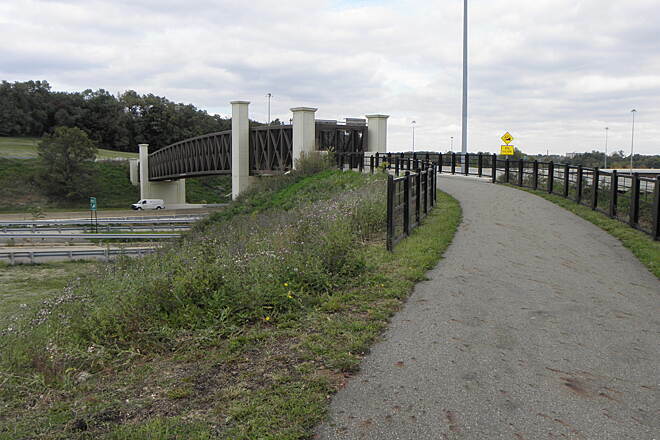 connection to Lincolnway in Massillon, the trail is open. 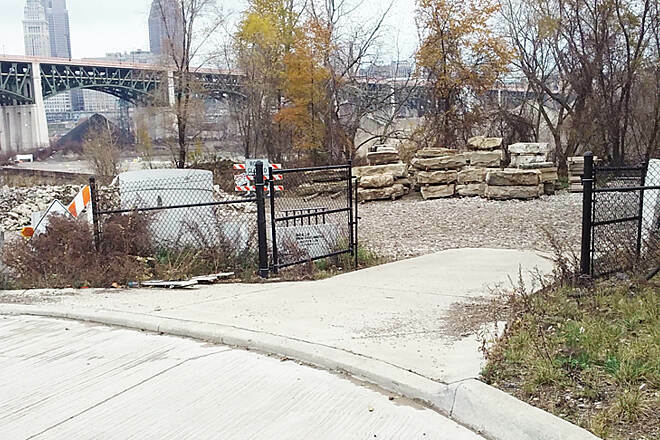 At Lincolnway there is a gap that can be accessed by crossing the sidewalk on the Lincolnway road bridge and following the connector trail north on 6th St. to get under the bridge, then the connector runs south to Tremont Ave and under that bridge, west 1/2 block to 5th St. south to Green St. east to 4th St, south to Oak Knoll Park, and then south and east on a paved trail thru the Park to Walnut Rd. East on Walnut Rd. 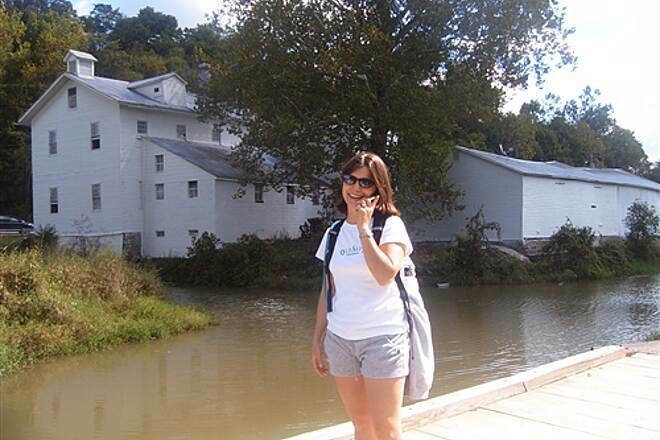 across the river, brings you to the Towpath Trail. From there it is open all the way south to Rt 212 just west of Bolivar. Take Rt. 212 east to Bolivar and then follow the street south to Fort Laurens. 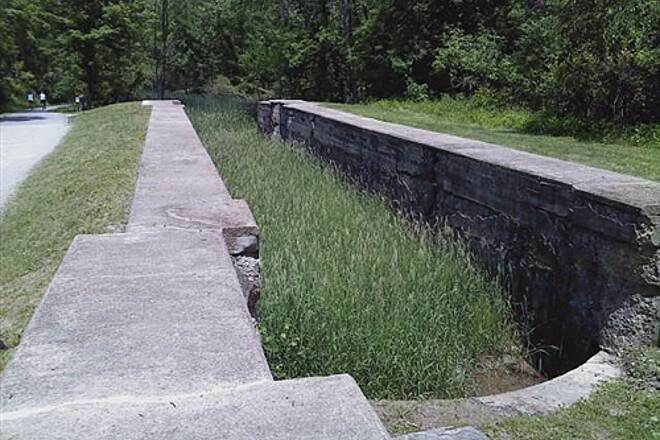 Turn east into Fort Laurens and go to the end of the driveway where you will find a path that is 1/10 of a mile long to a $2,000,000 bridge over I-77. from there to Zoar village, the trail is again crushed stone. South of the exit point to Zoar village, the trail is unimproved a dirt and a mountain bike or house trail south to Rt. 800. 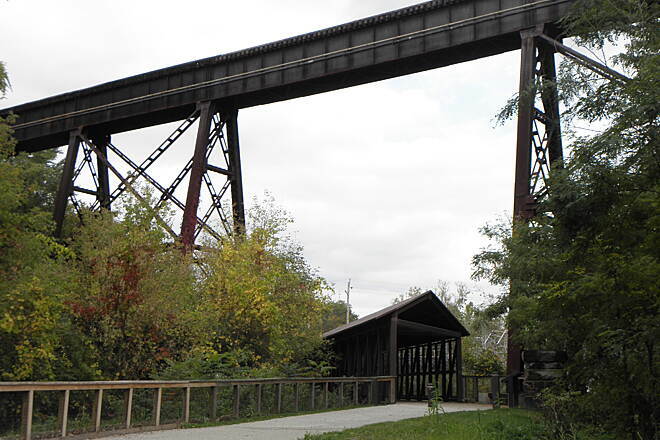 At the point where the trail meets the railroad, up on a high embankment, you must find your way to the river and cross under the railroad bridge. There is usually not a clear trail at this point. 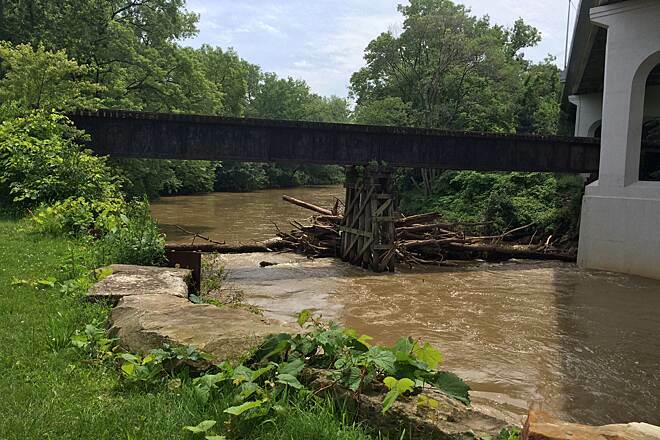 Also the section south of Zoar village has several missing stream bridges that may need to be "forded". 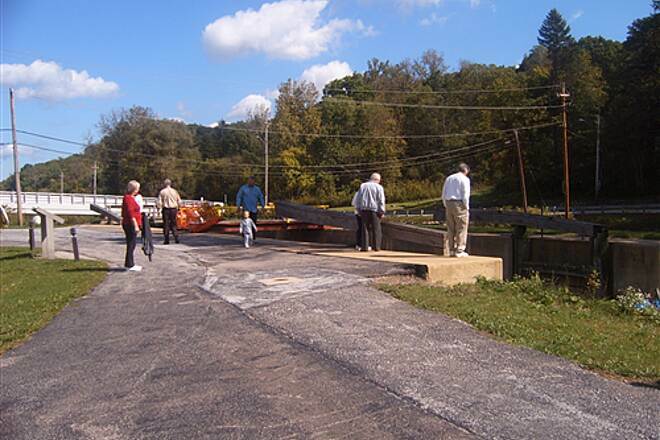 The majority of the surface from Cleveland to Zoar is crushed stone, with a few places concrete or asphalt. The majority is very scenic and beautiful. I road Akon to Barberton on June 30, 2009. I have biked this path several times although I've not gotten as far as the end. That's my goal this year! I love the scenery and as for a lot of people on the path, if you go in the mornings, it's not as crowded. 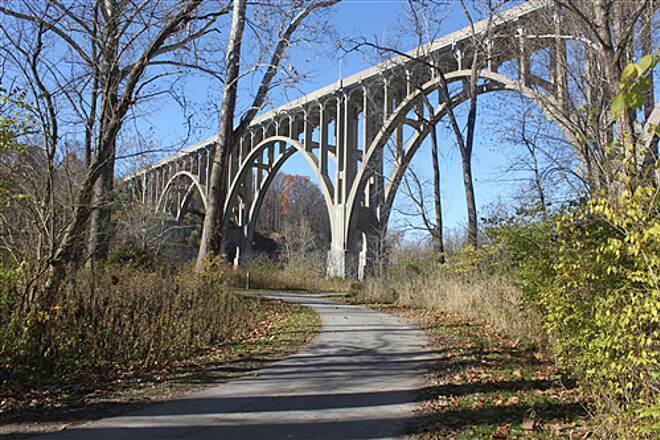 The scenery is fantastic and right around the Brecksville area there is a bald eagle's nest with an eaglet and mom and dad. 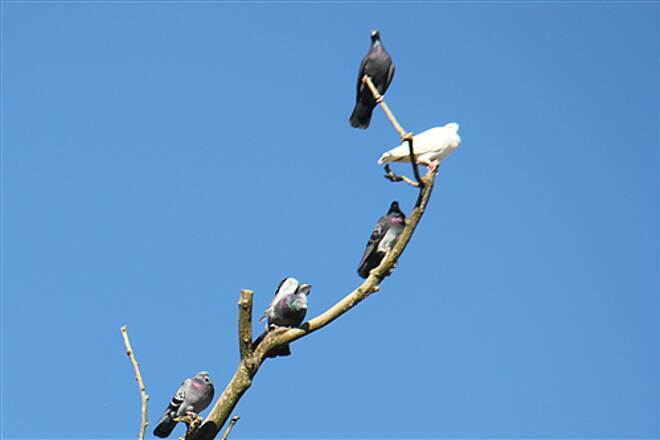 You can sometimes see them soaring above you on the path. Awsome site! Enjoy! 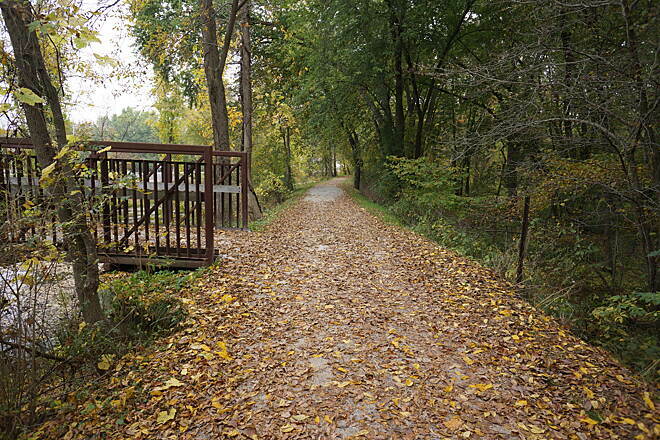 This trail now runs 31 miles from downtown Akron to Grant Road in Cleveland. 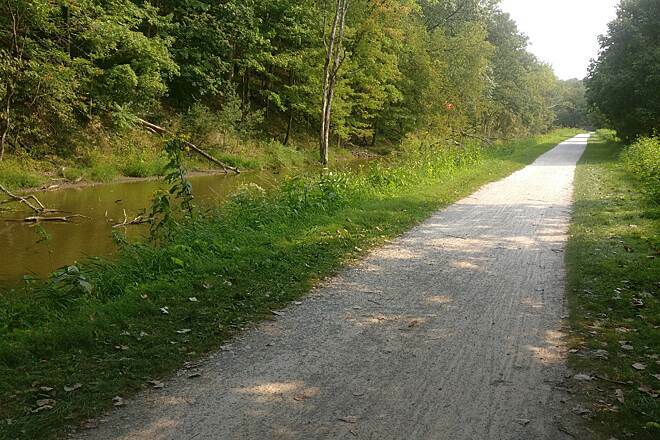 It is a gravel surfaced canal towpath. 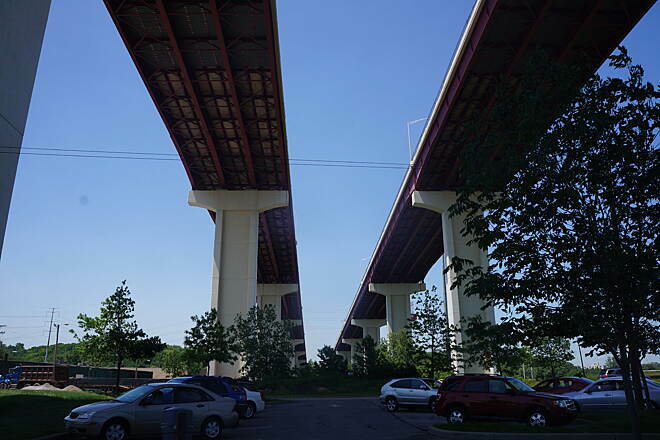 There are many large over pass bridges (see photos). 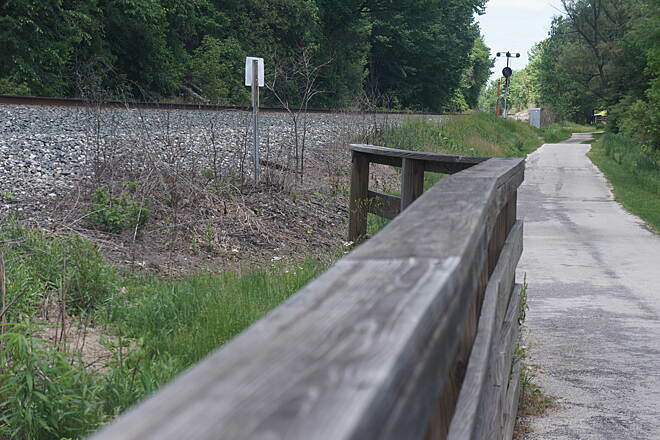 Bikes can be rented at RR crossing on highway 303, 2 miles East of I 271. 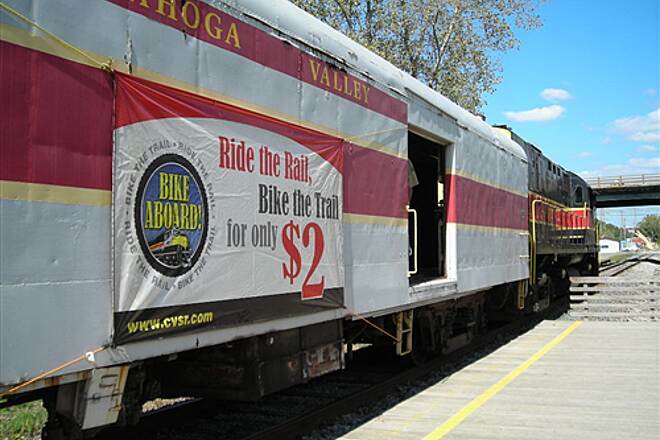 "The Cuyahoga Valley Railroad has a Bike-Aboard program, for $2 you can ride the train with your bike. It's a fun way to see more of the beautiful trail. 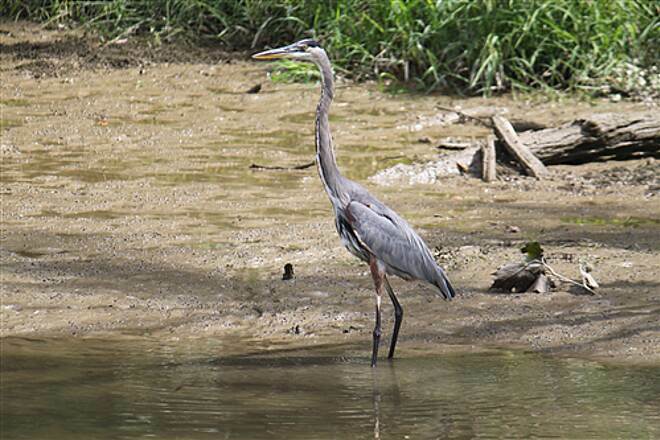 The scenery along the canal and river is beautiful and I always spot blue heron, deer, turtles, and other wildlife. 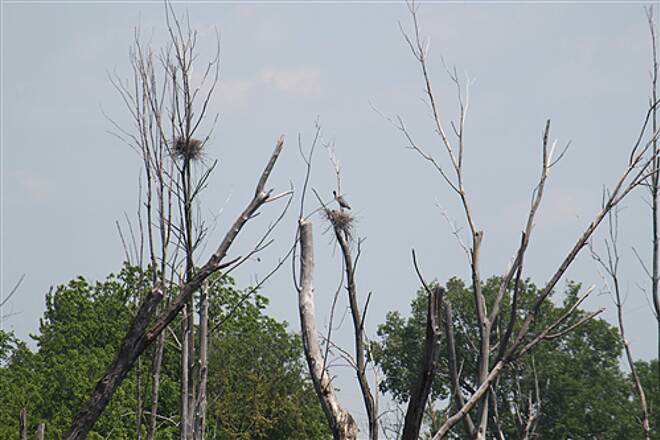 If you're lucky you may even catch a glimpse of the nesting bald eagle. " 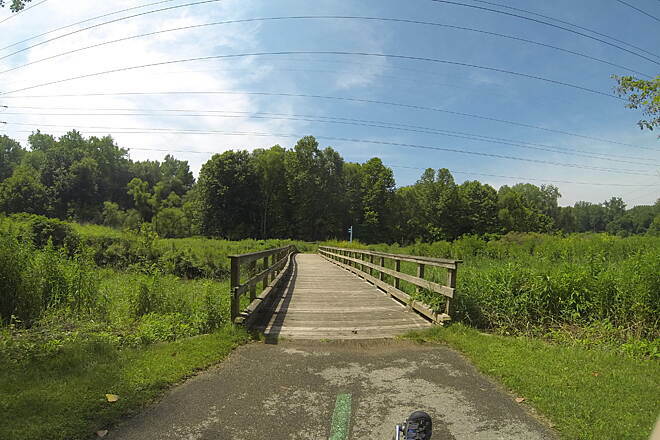 I started in Valley View and biked the whole length of this trail to Akron (28 miles one way). It is hard packed stone and part ashphalt. It was a beautiful ride with many places to stop and rest and it also passes through some small towns where you can buy snacks and drinks. The ride was cut short in Akron where construction is ongoing to connect another 10 or so miles on to the Southern end of my trip. I think this trail is a great place to have some fun. 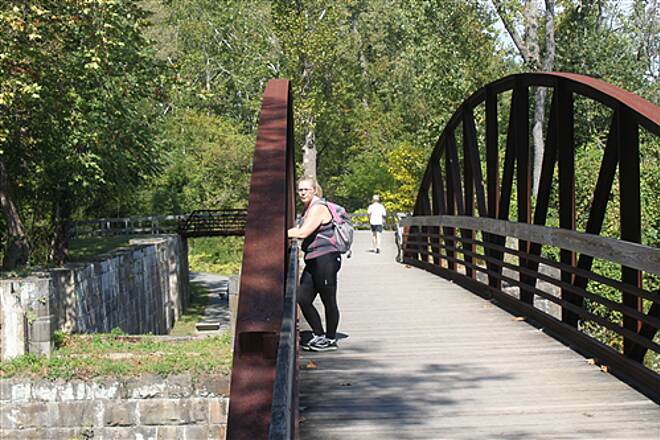 "So crowded with bikers, joggers and hikers you feel like you never left the city."